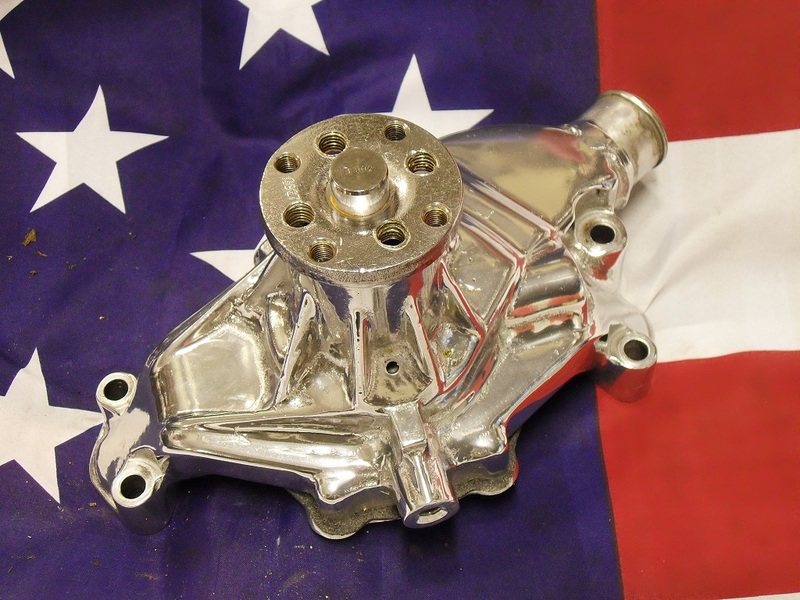 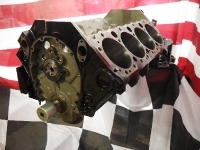 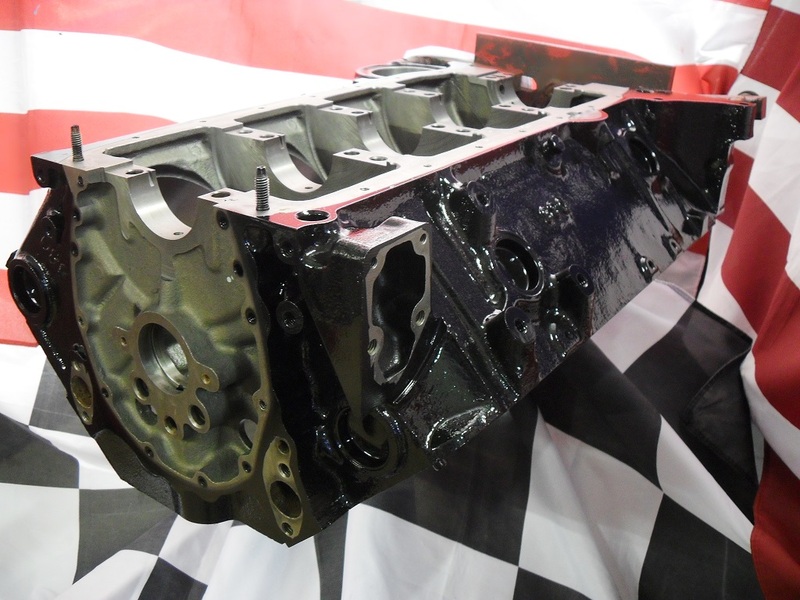 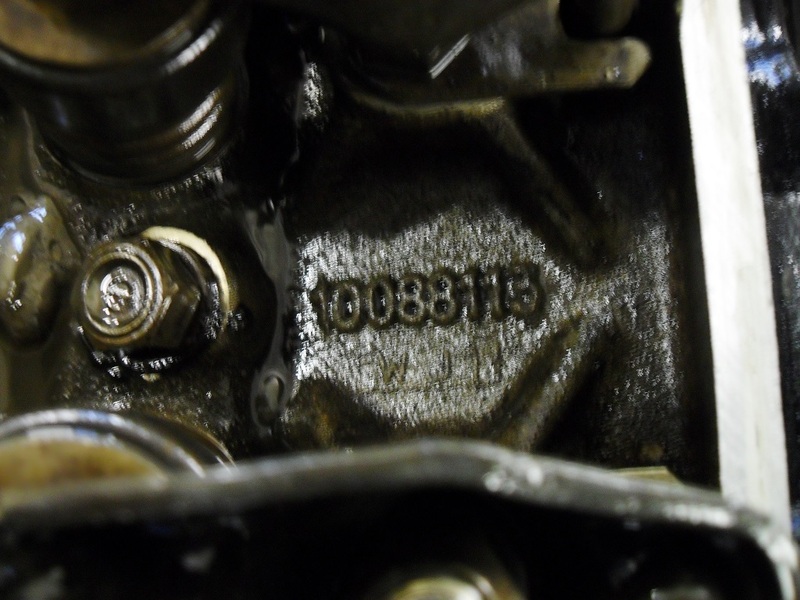 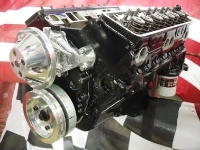 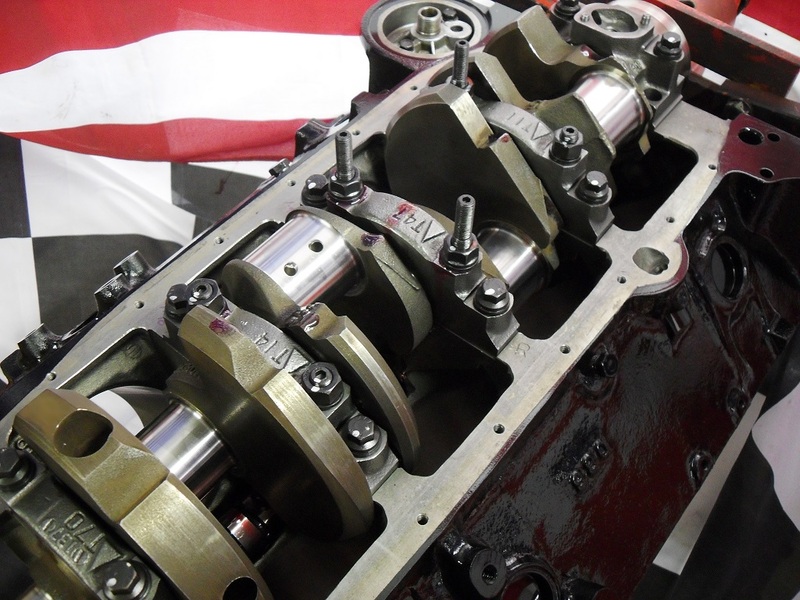 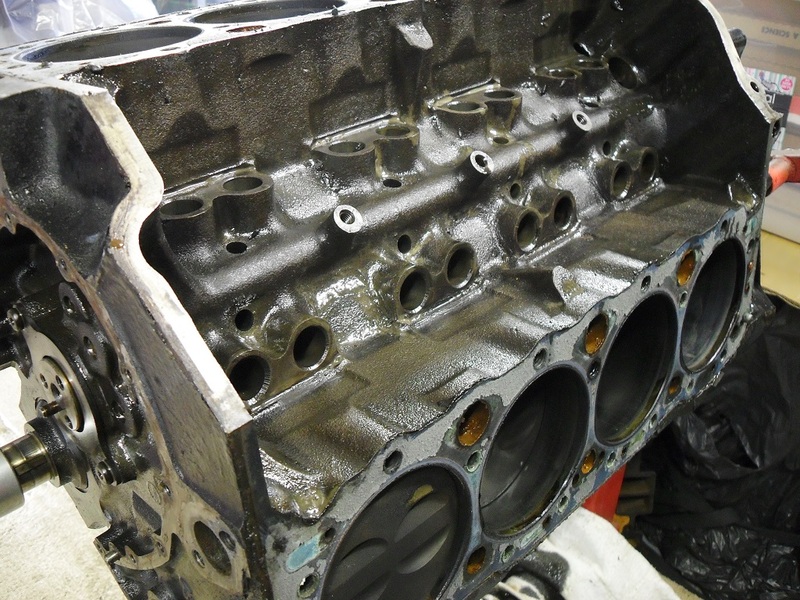 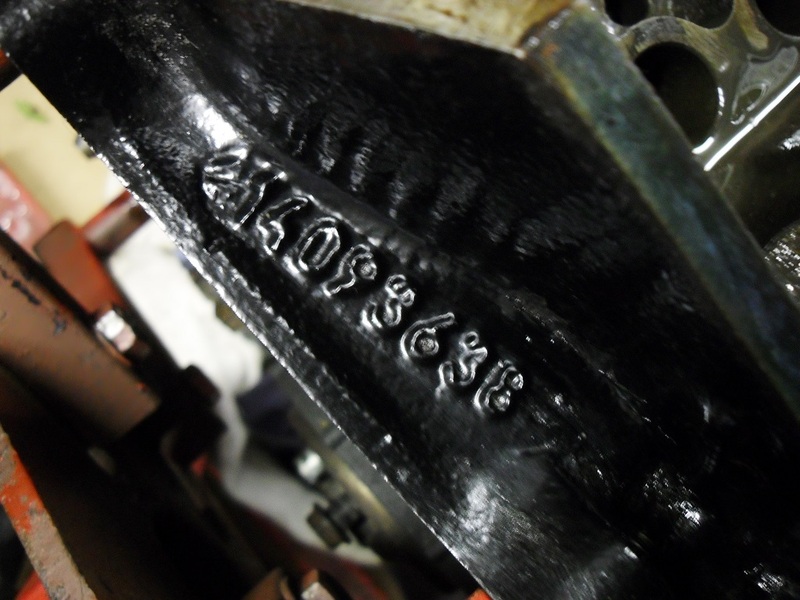 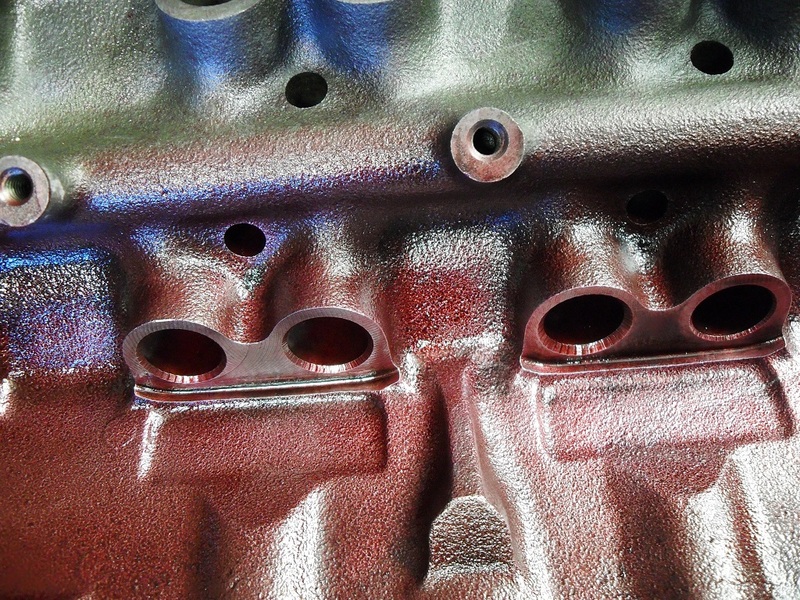 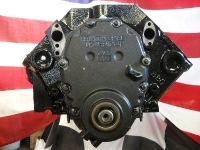 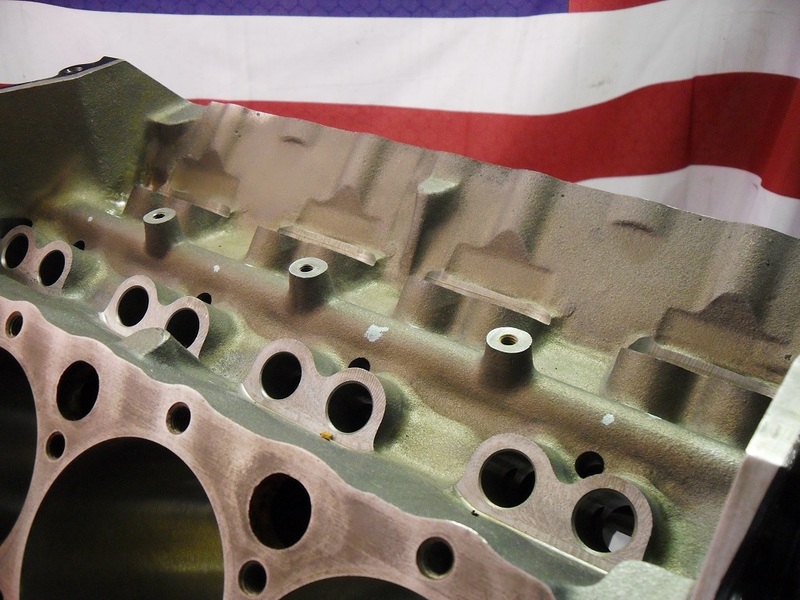 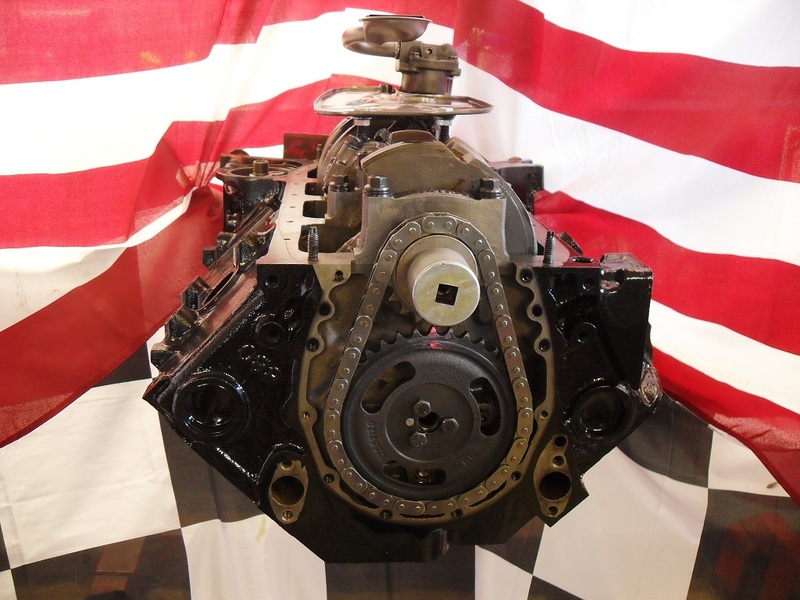 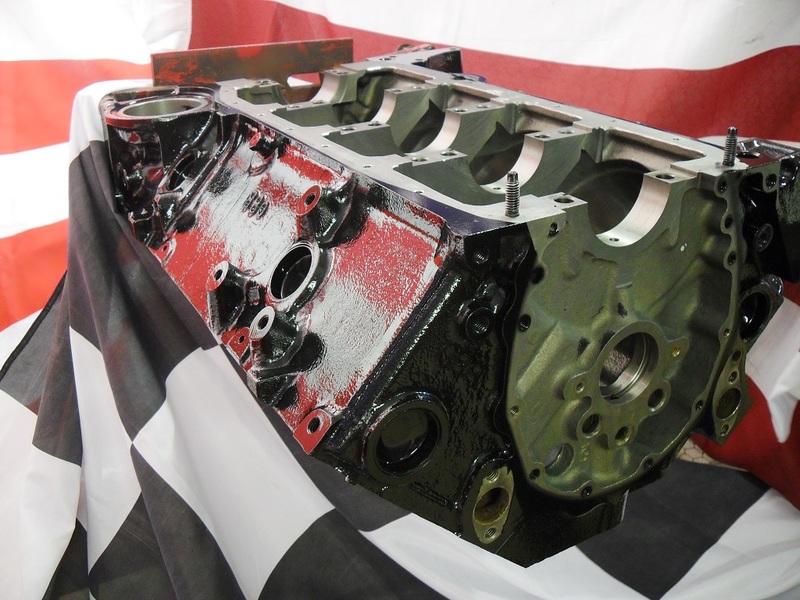 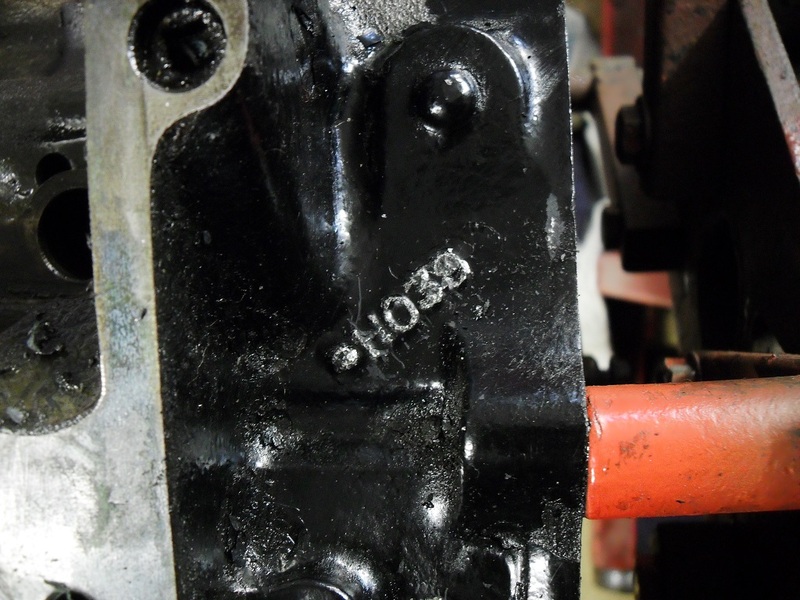 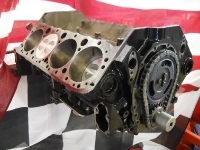 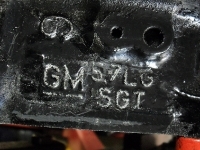 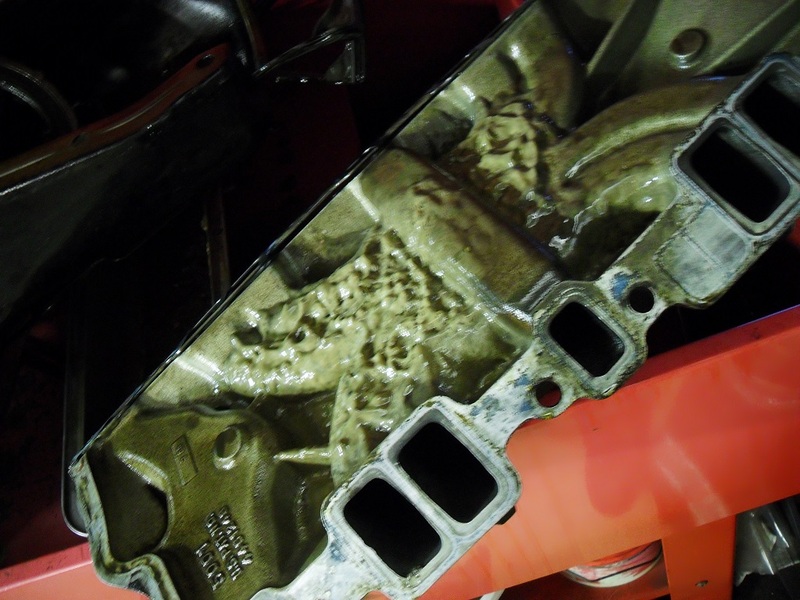 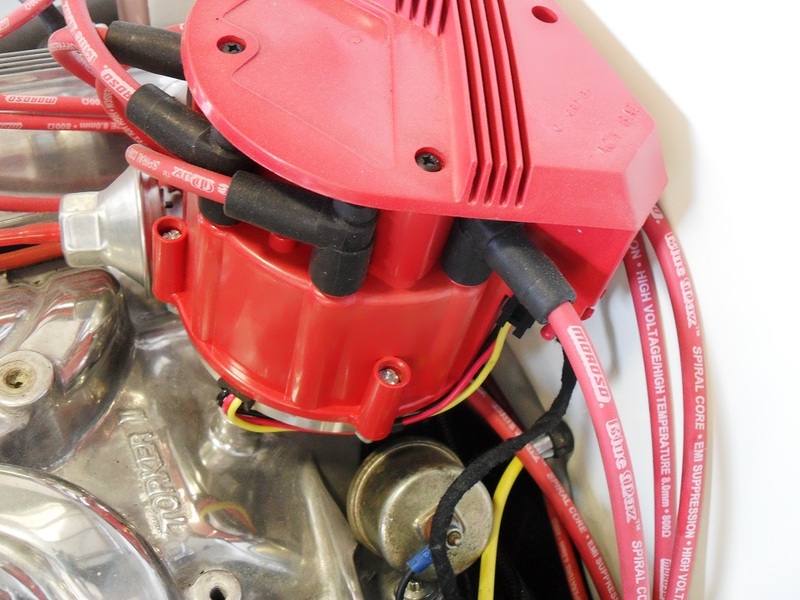 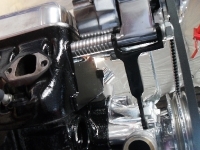 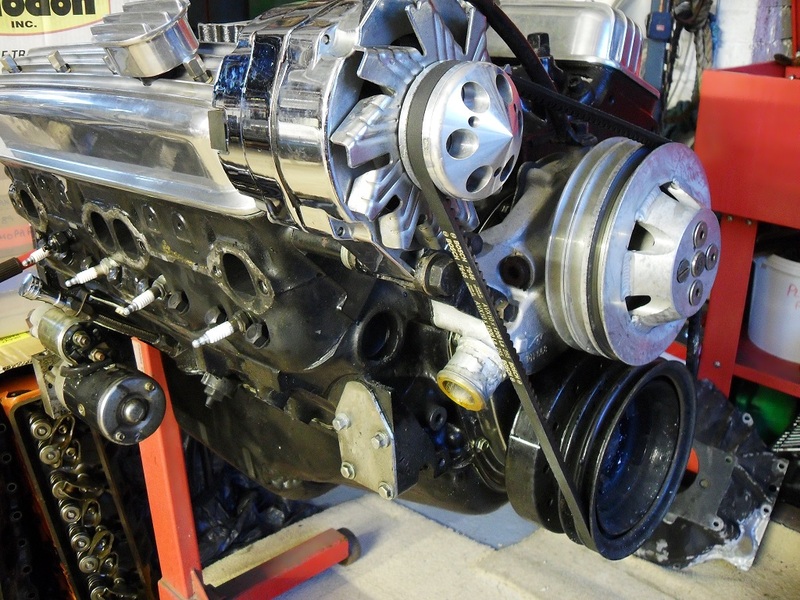 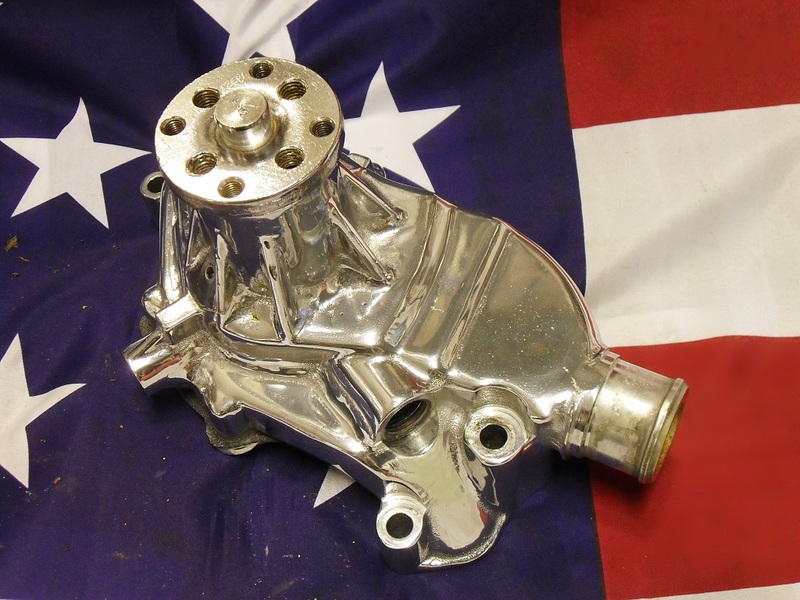 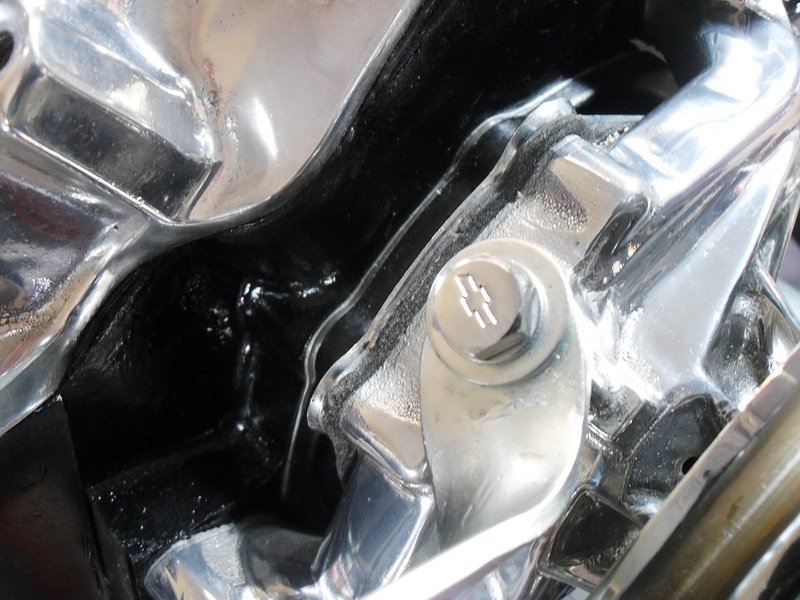 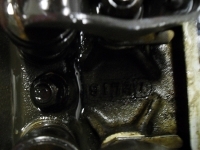 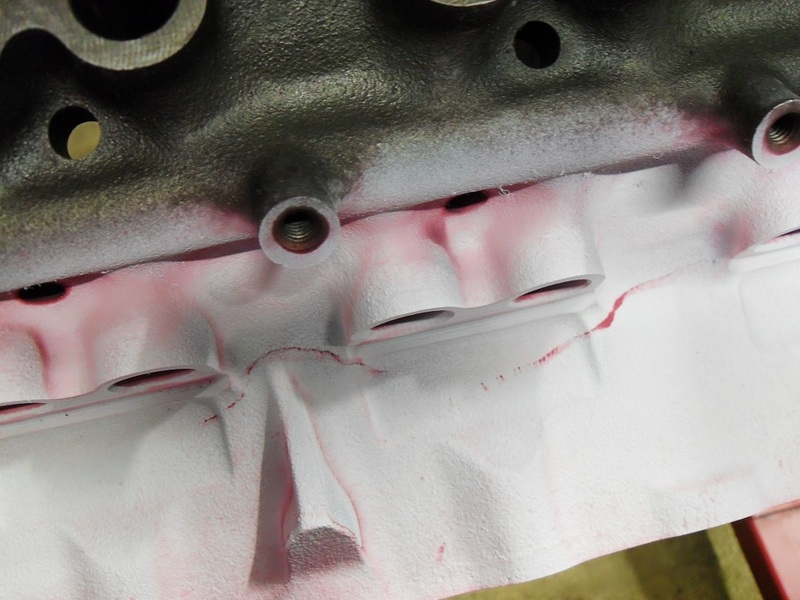 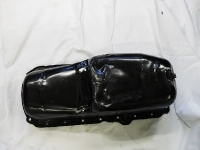 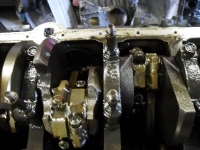 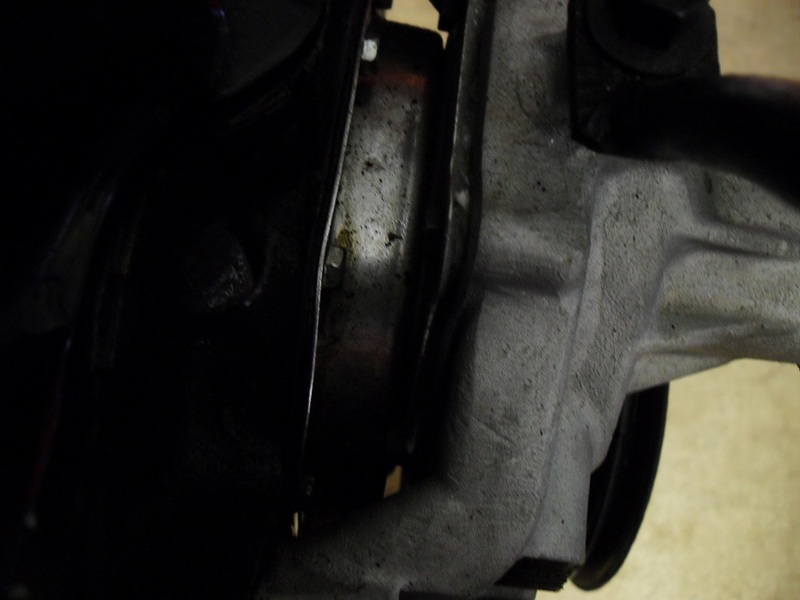 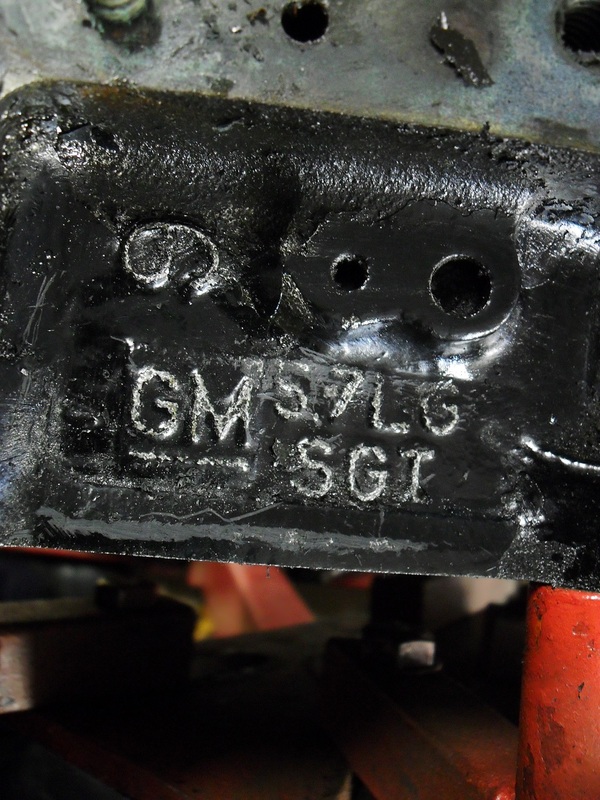 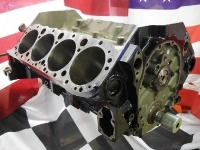 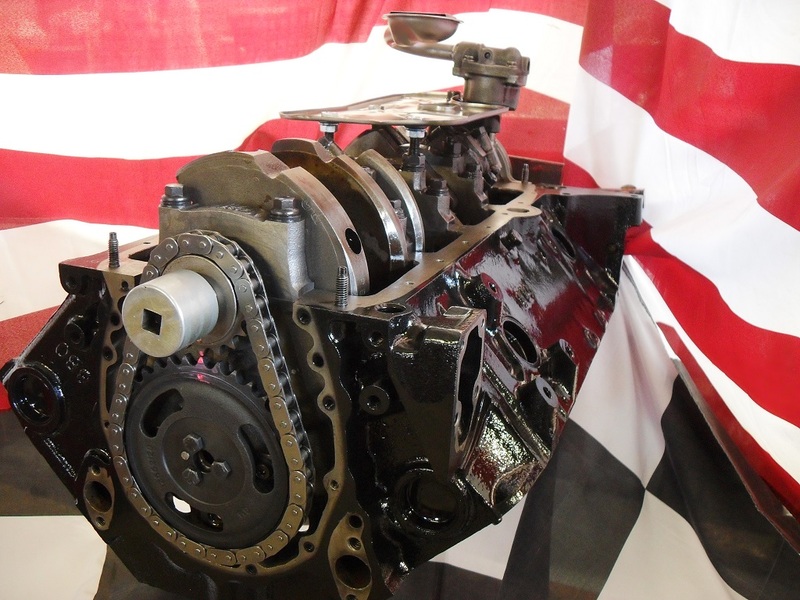 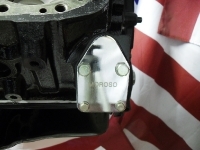 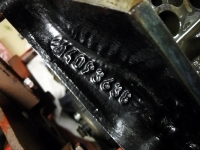 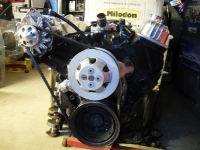 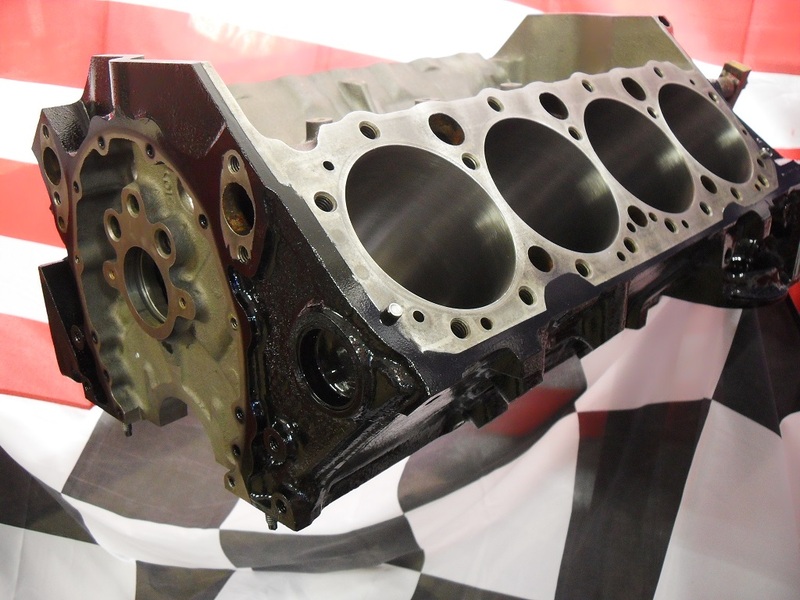 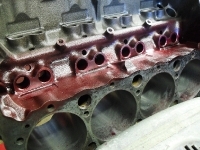 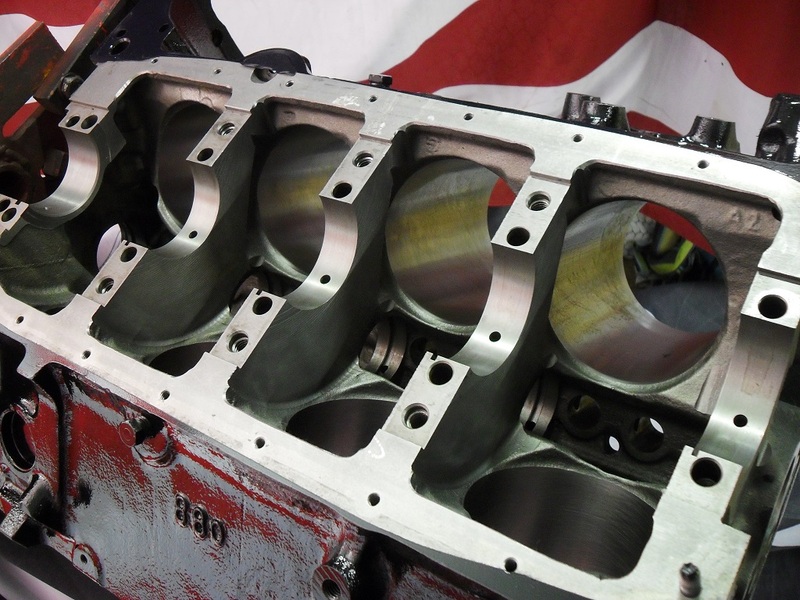 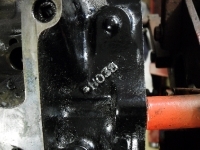 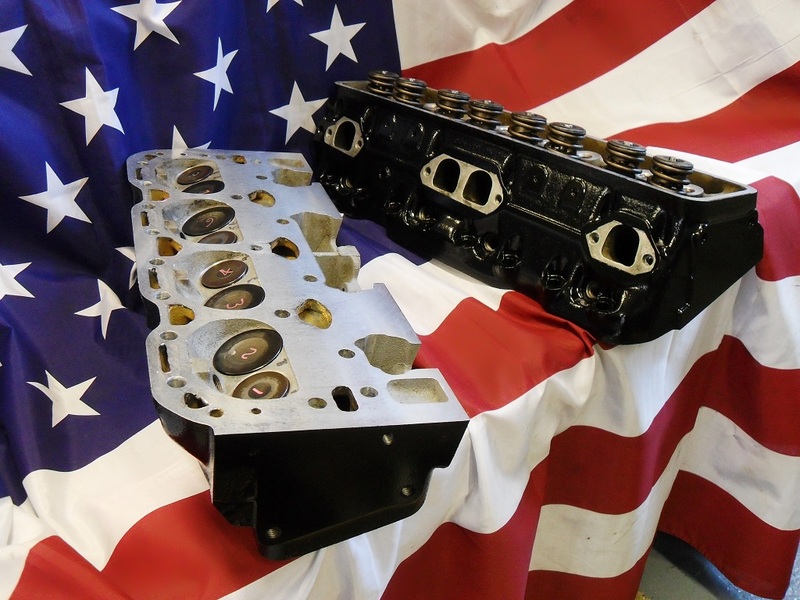 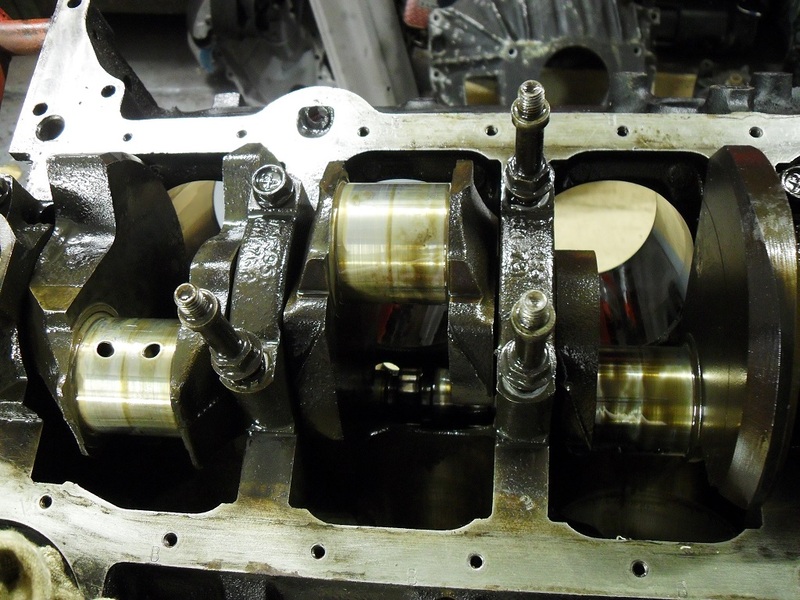 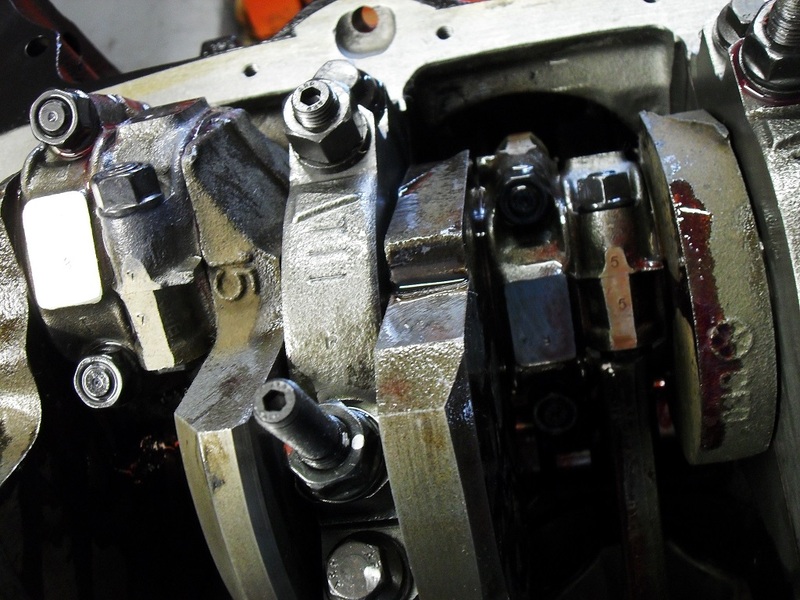 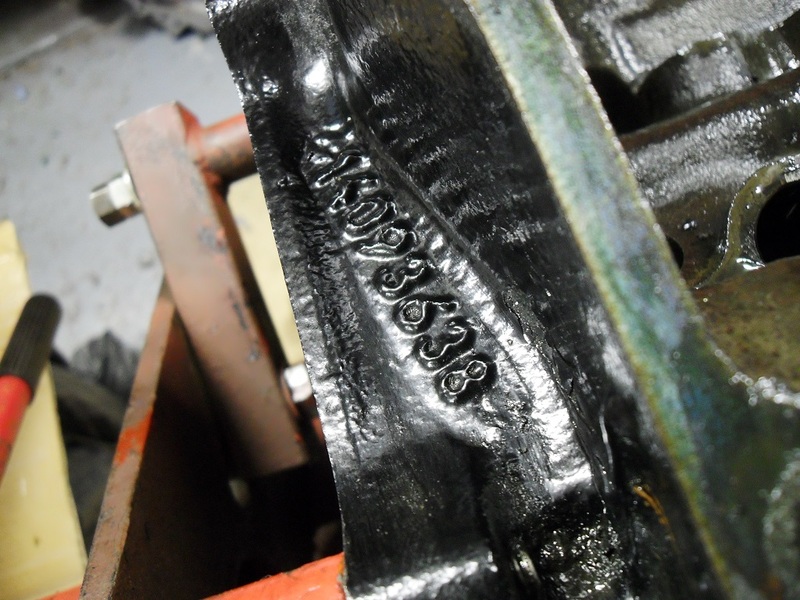 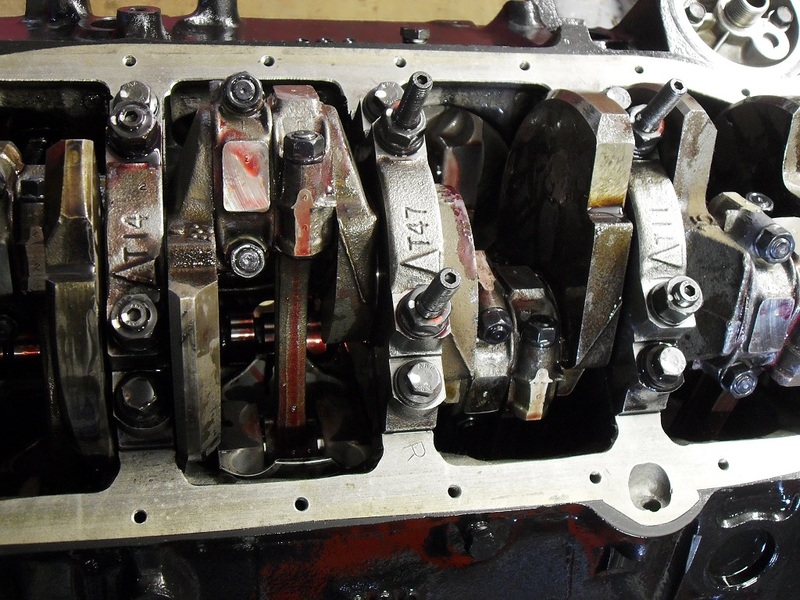 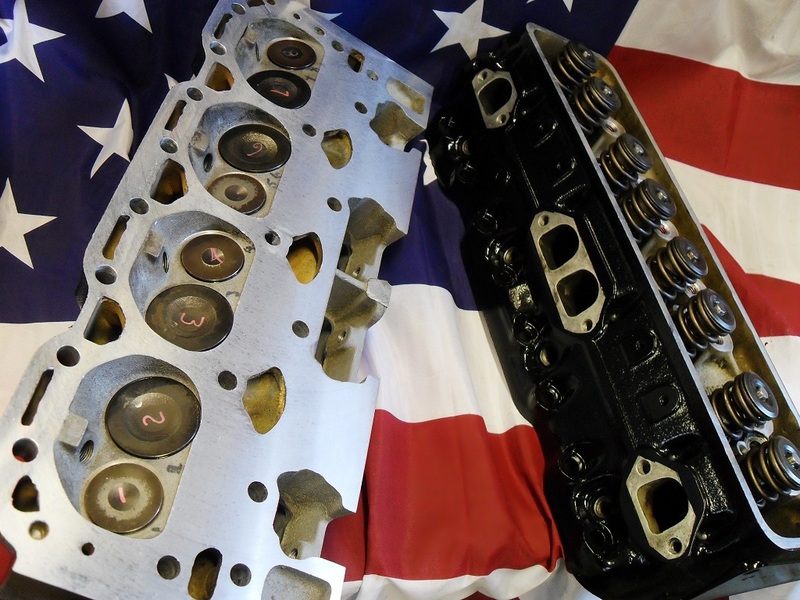 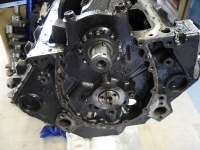 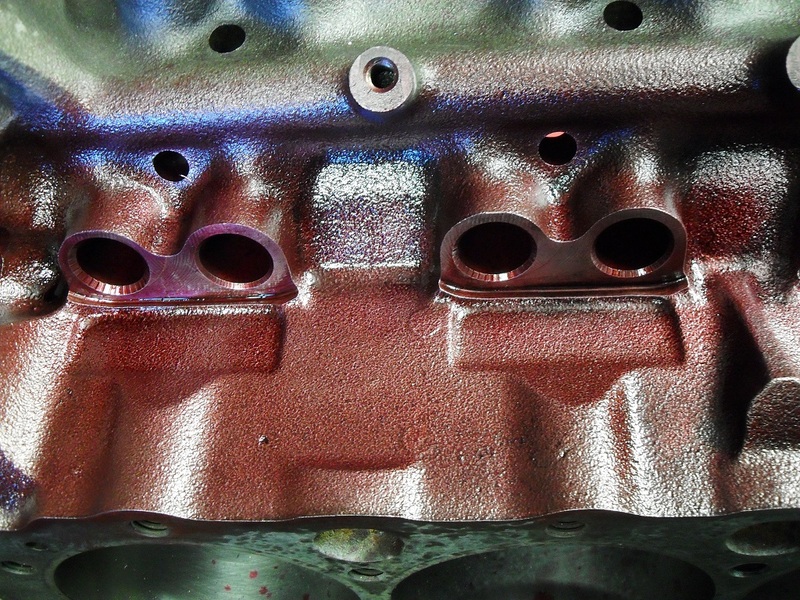 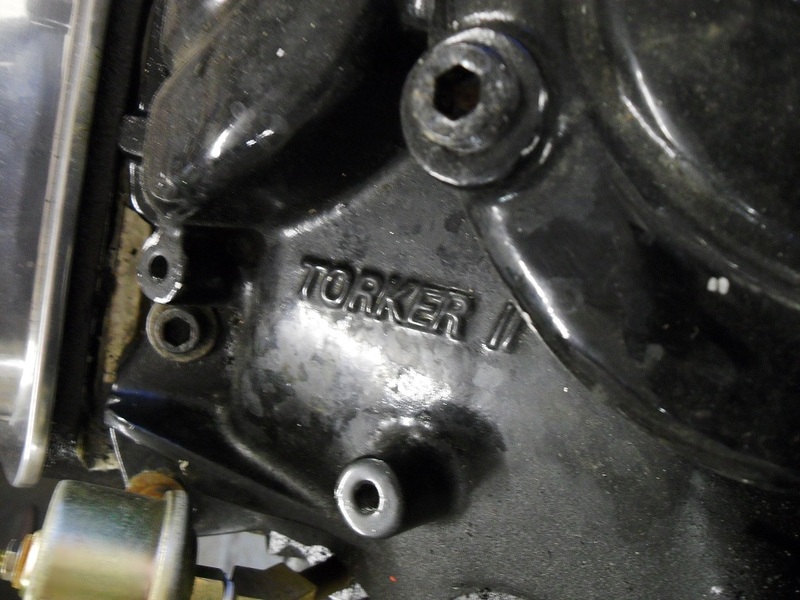 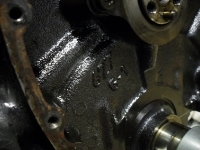 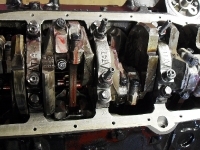 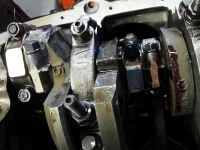 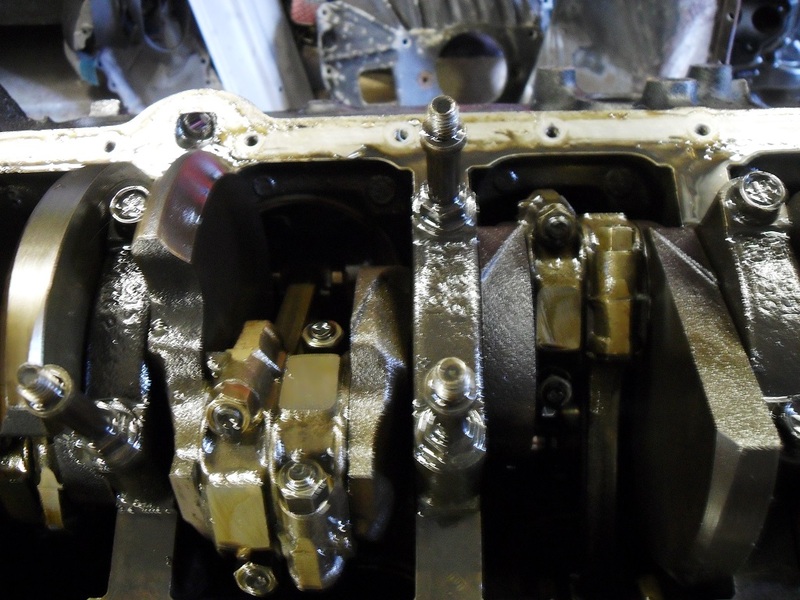 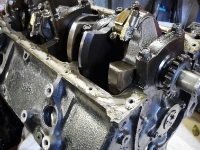 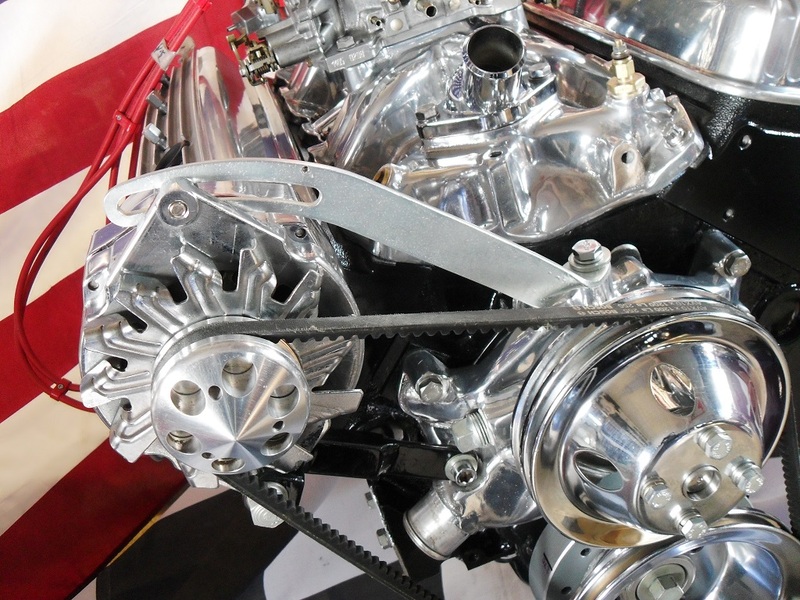 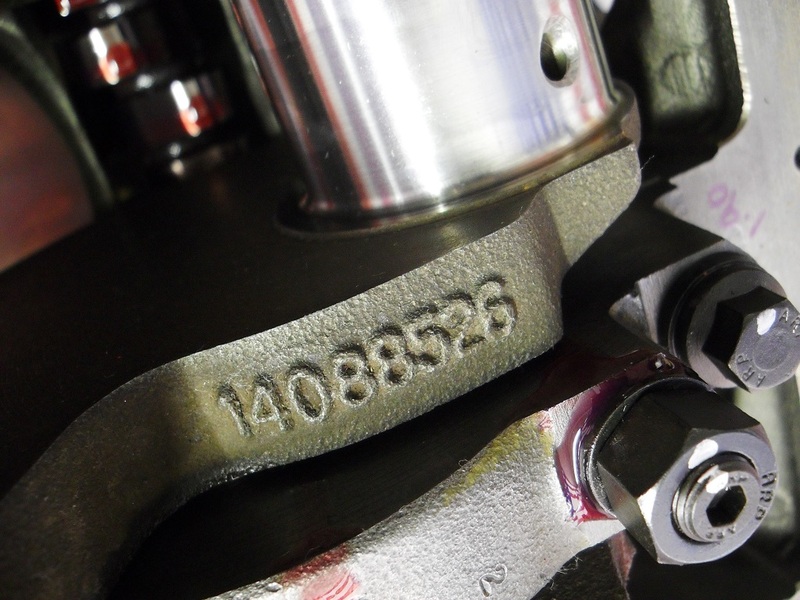 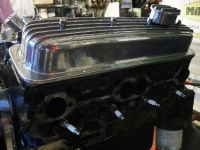 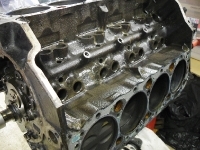 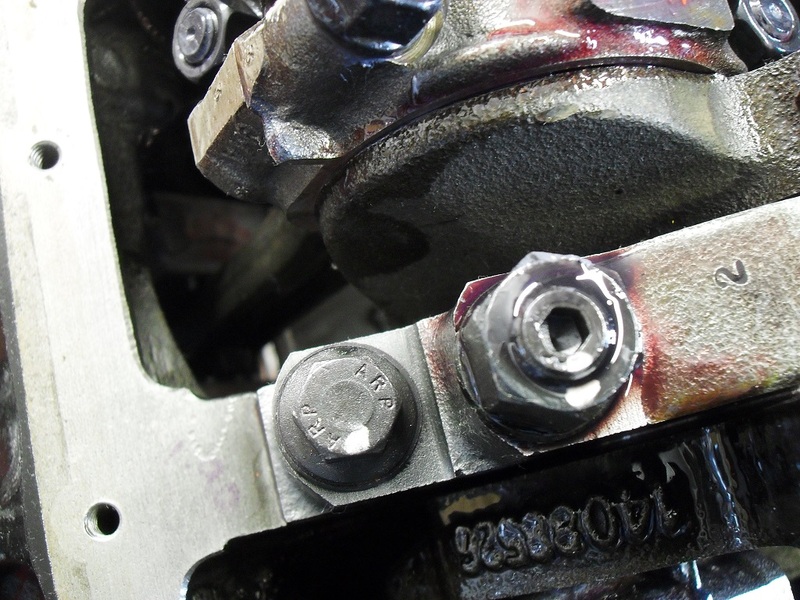 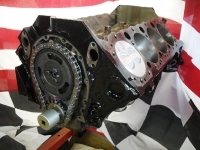 350ci CHEVROLET ZZ4 in need of a rebuild, as it turned out the block was cracked along the lifter valley and the aluminium heads needed considerable amounts of work to save them, we sourced another ZZ4 roller cam block and did a complete rebuild on that. 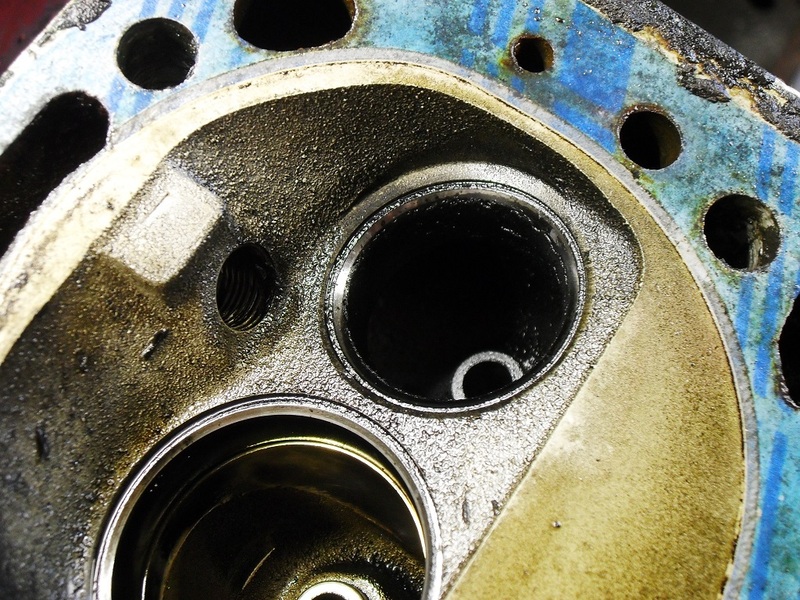 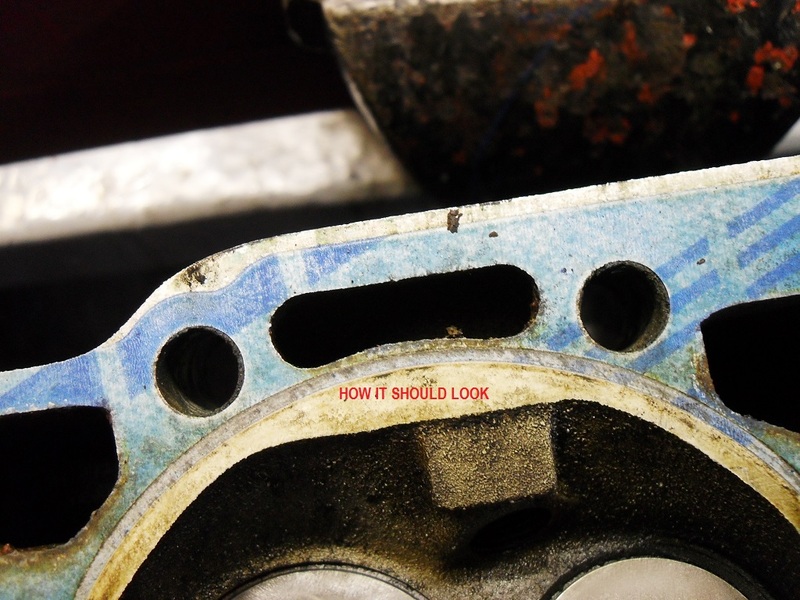 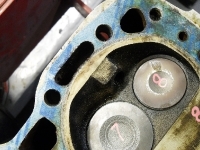 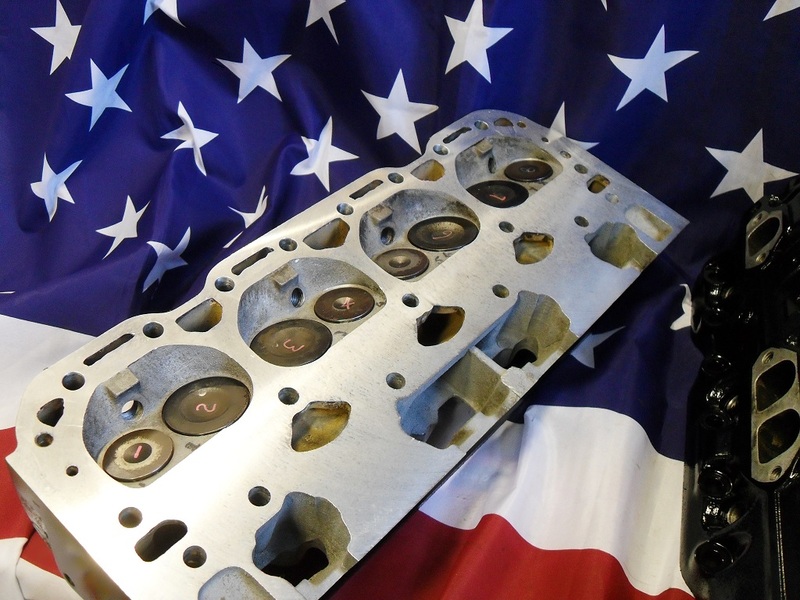 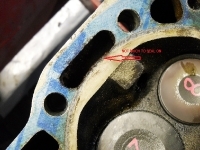 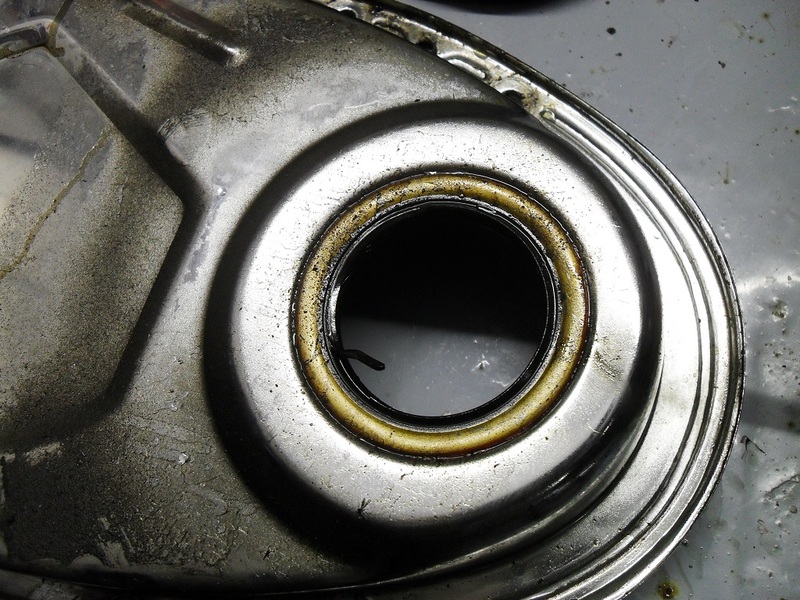 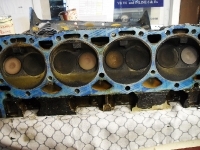 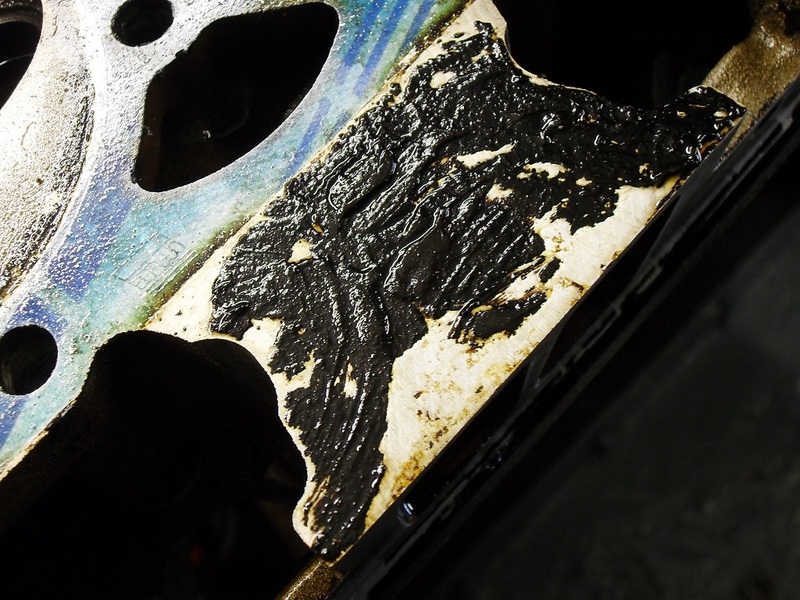 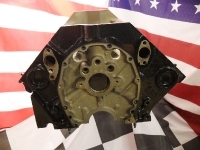 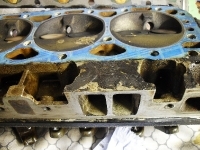 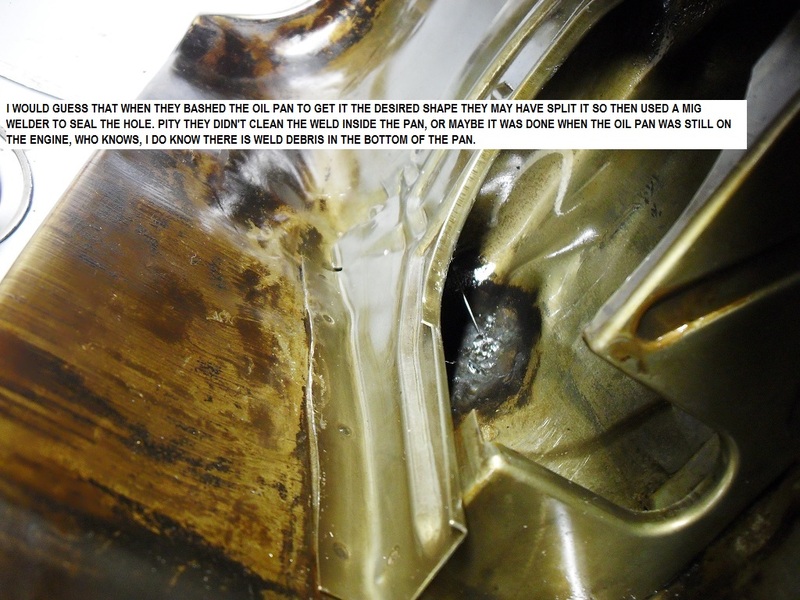 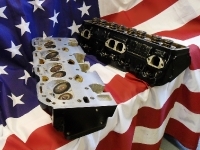 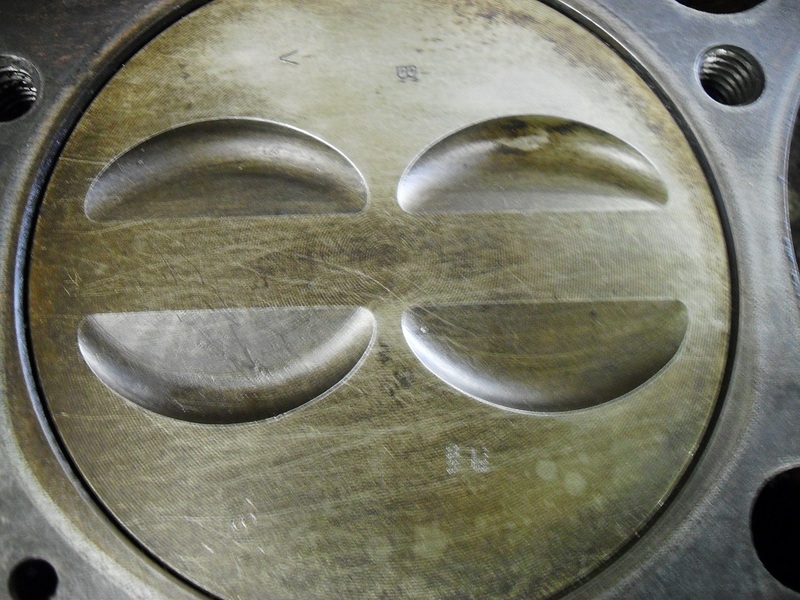 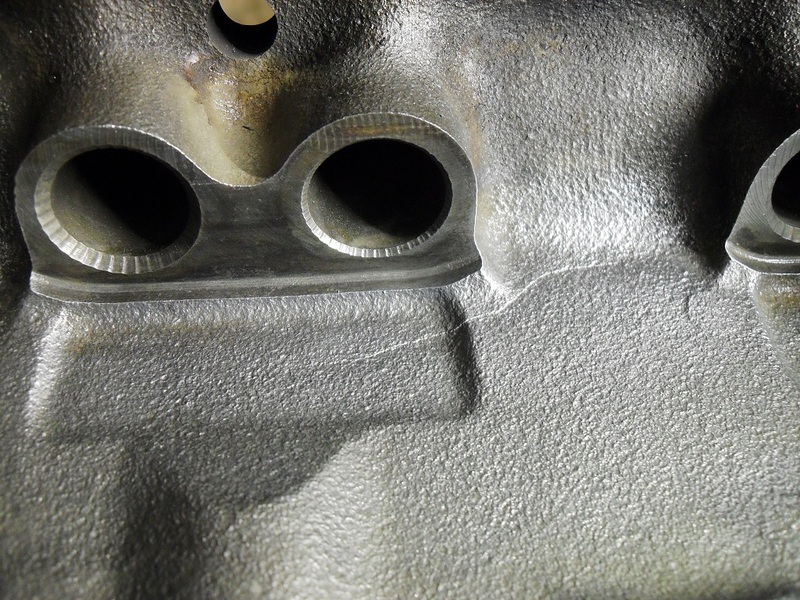 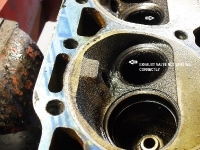 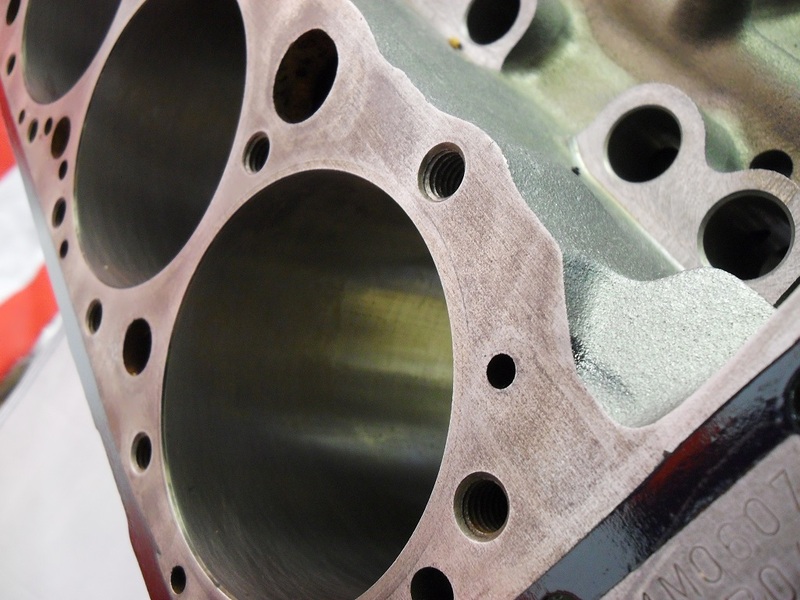 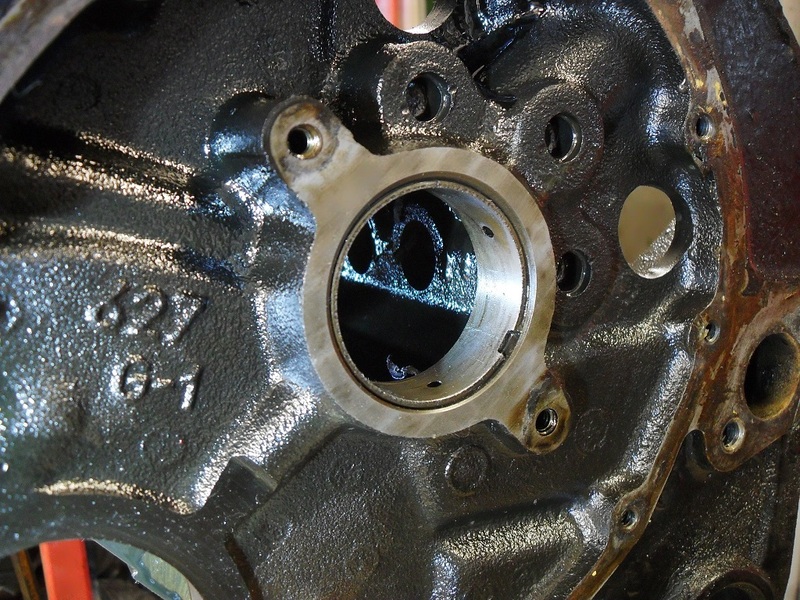 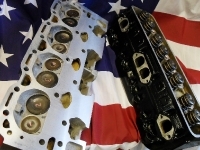 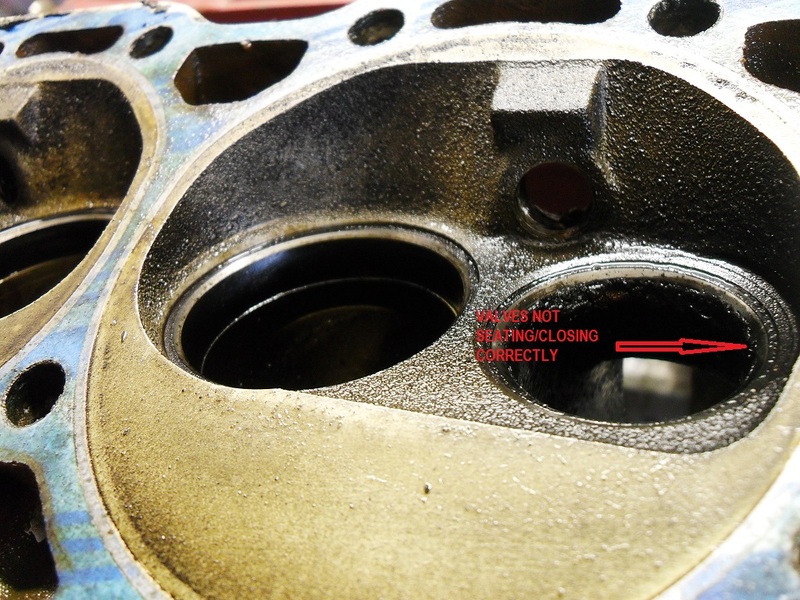 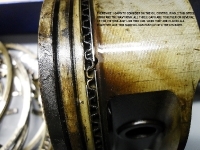 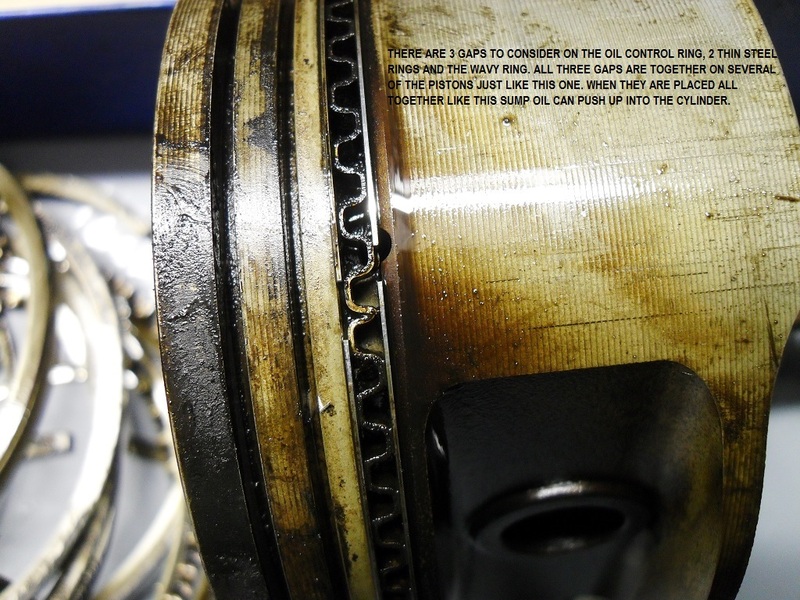 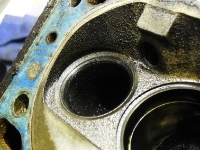 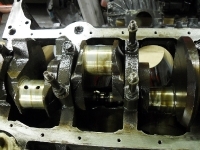 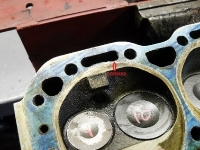 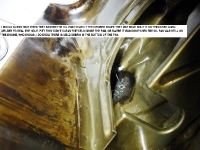 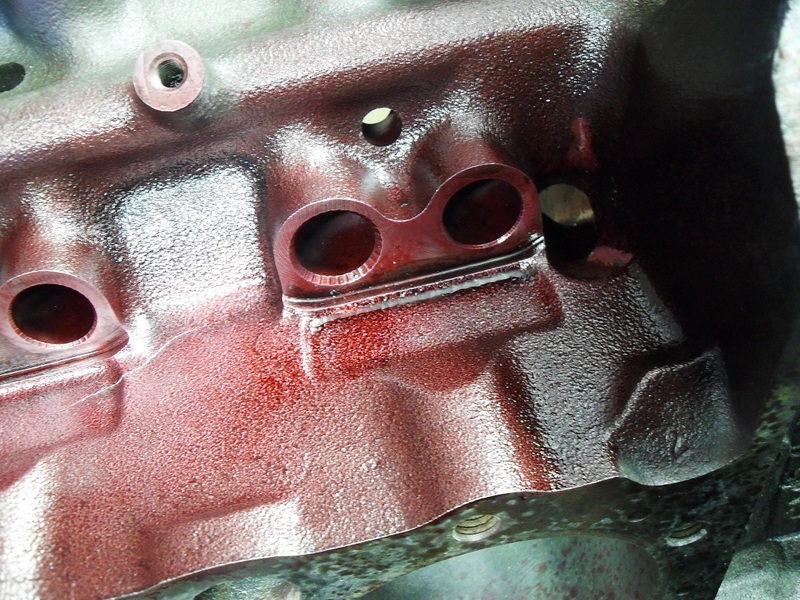 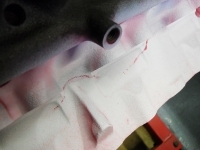 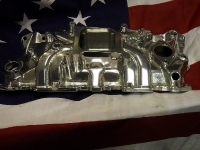 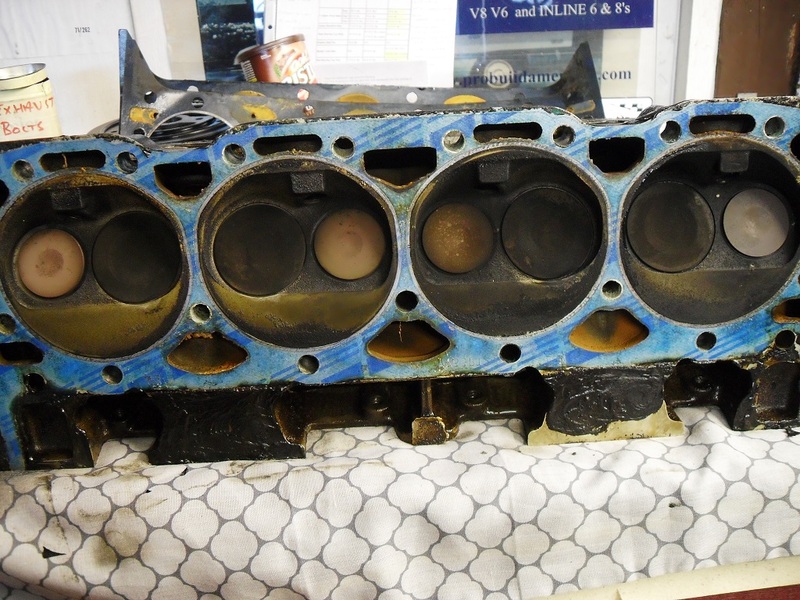 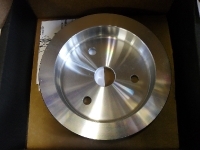 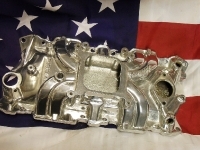 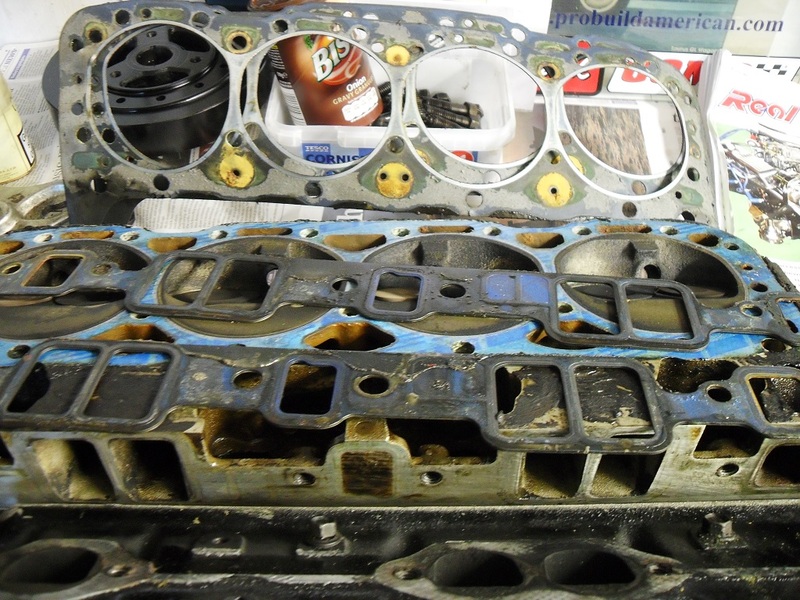 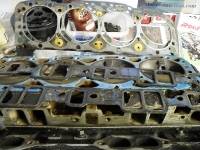 The cylinder heads were in a bad way, corrosion had taken it’s toll on the aluminium, the corrosion was around the water ports in the head face, eating into the combustion chamber firing ring area. 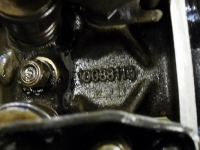 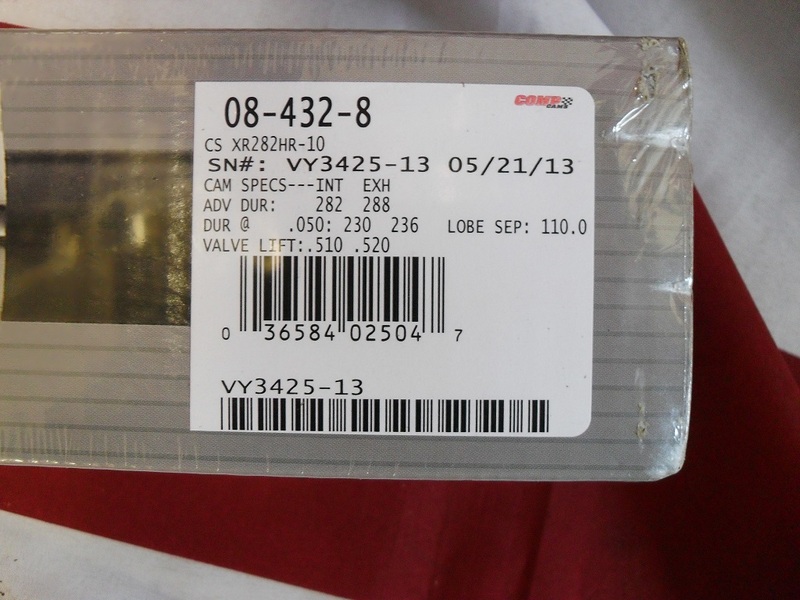 One valve guide was broken and several valves had not been seating properly. 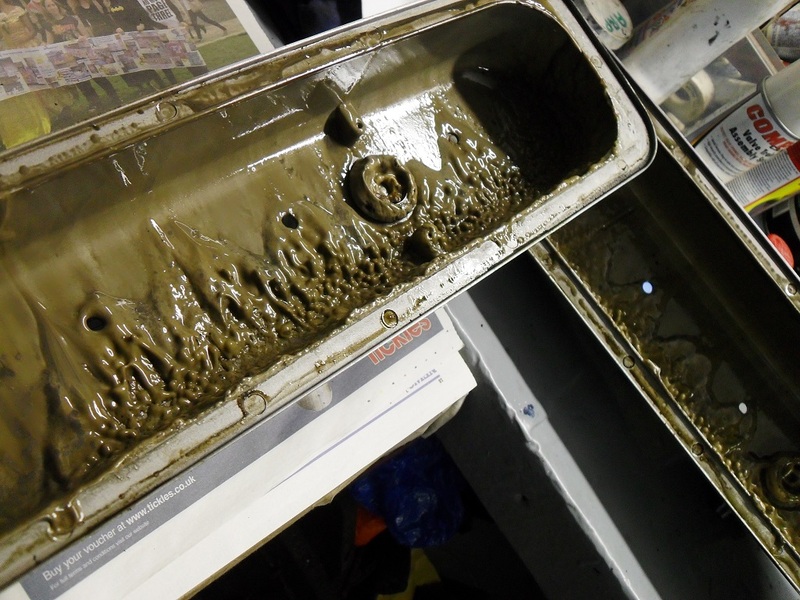 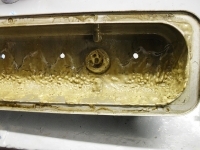 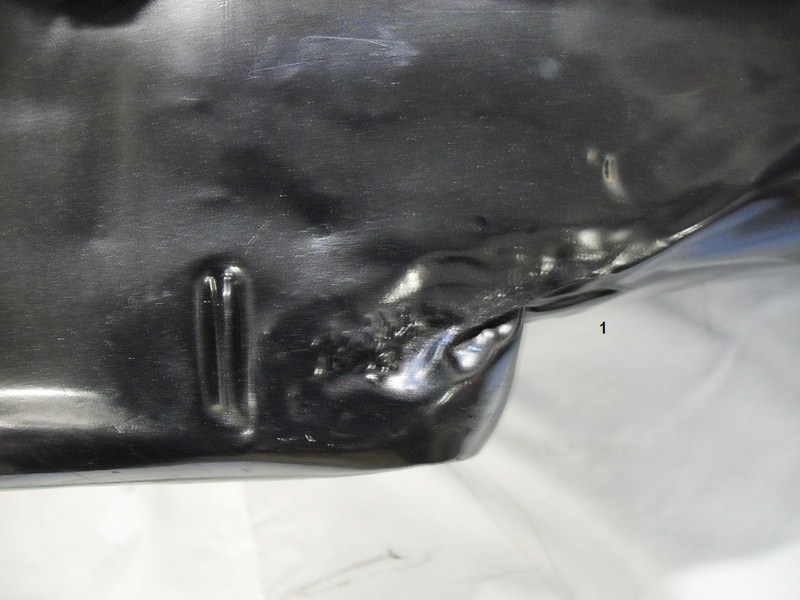 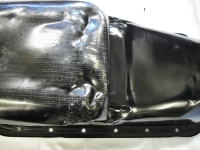 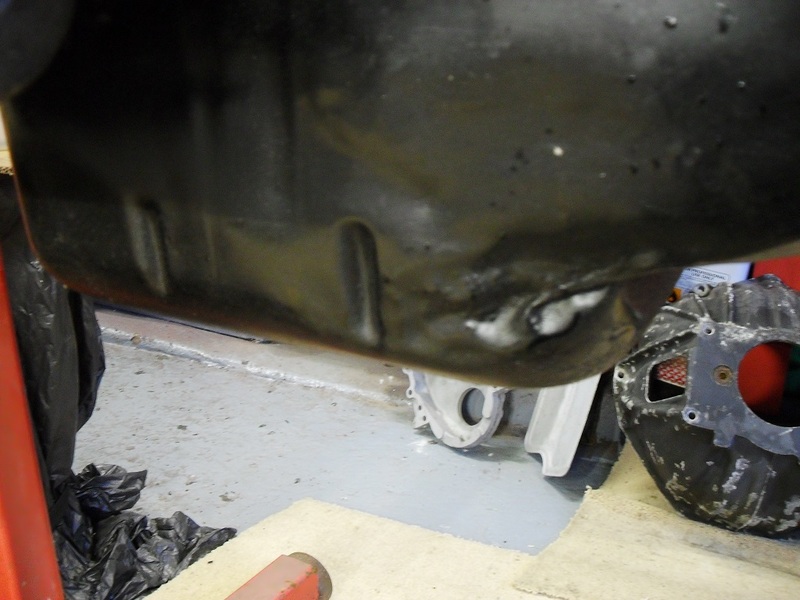 The oil pan had taken a battering, dents and cuts, welded up with a mig and mig wire going into the pan and left, obviously welded when still in the car. 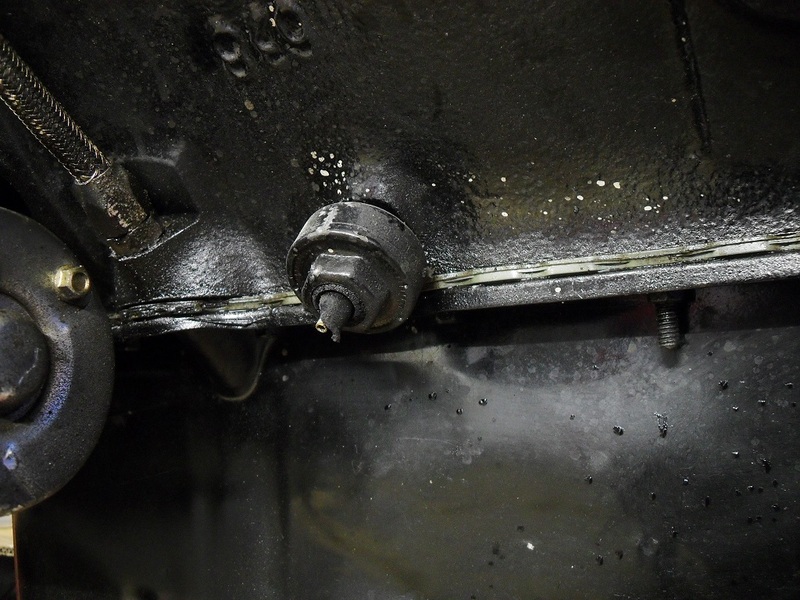 The original block was cracked in the lifter valley, almost imperceptible but when a little heat was applied it opened up and with the crack detection spray it went almost the length of the valley. 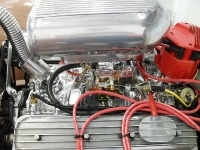 A few of the parts we used in this build. 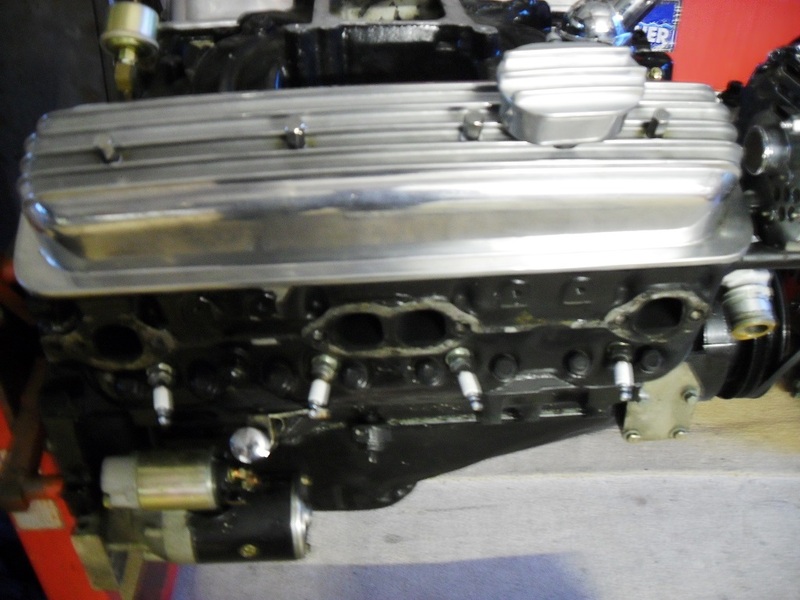 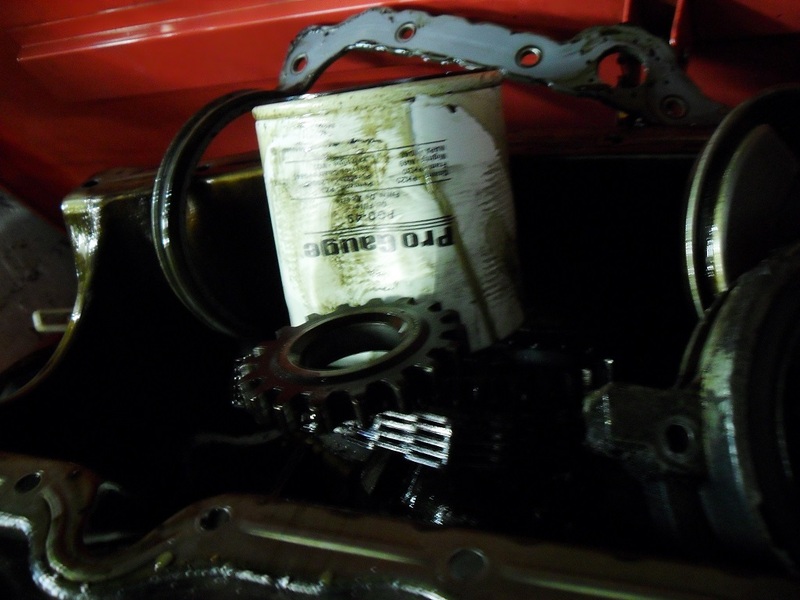 The 4 bolt mains, roller cam block was rebored +030″ then with all gallery plugs out, core plugs and cam bearings removed, hot tanked clean and then cleaned a few more times just for good measure. 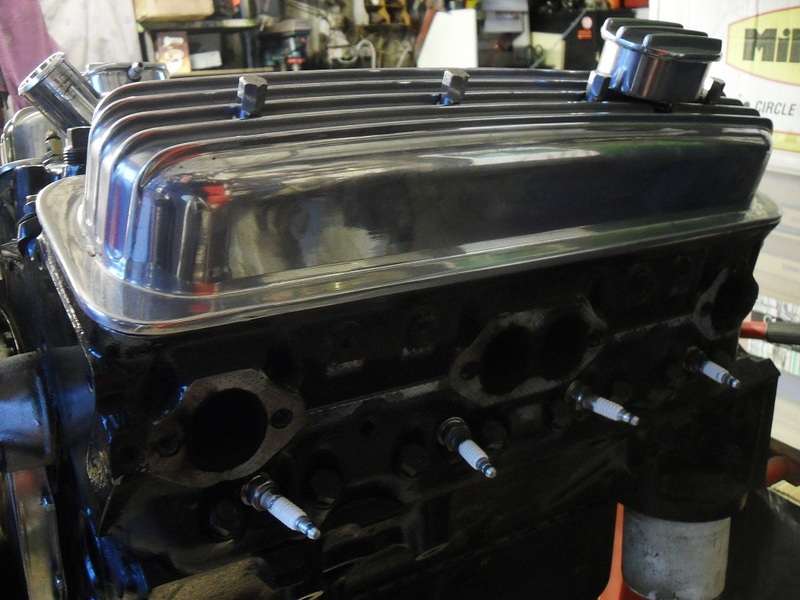 New cam bearings fitted and the block exterior given a coat of black POR15 engine enamel, high pigment paint which gives a great long lasting finish. 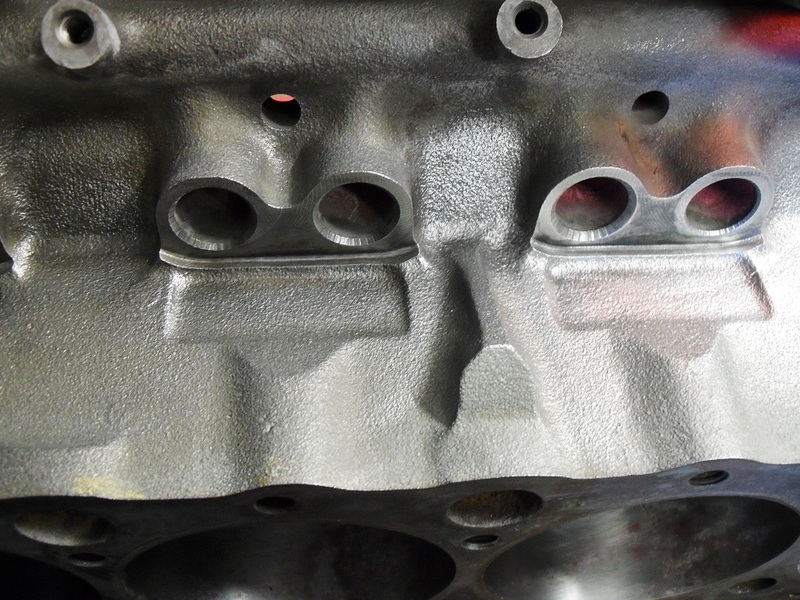 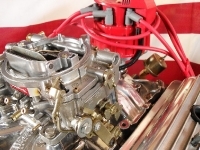 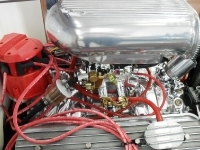 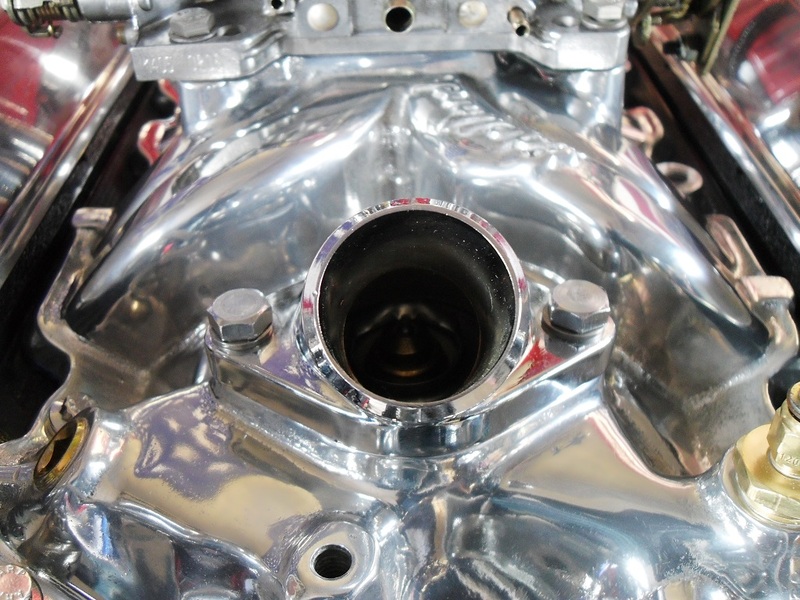 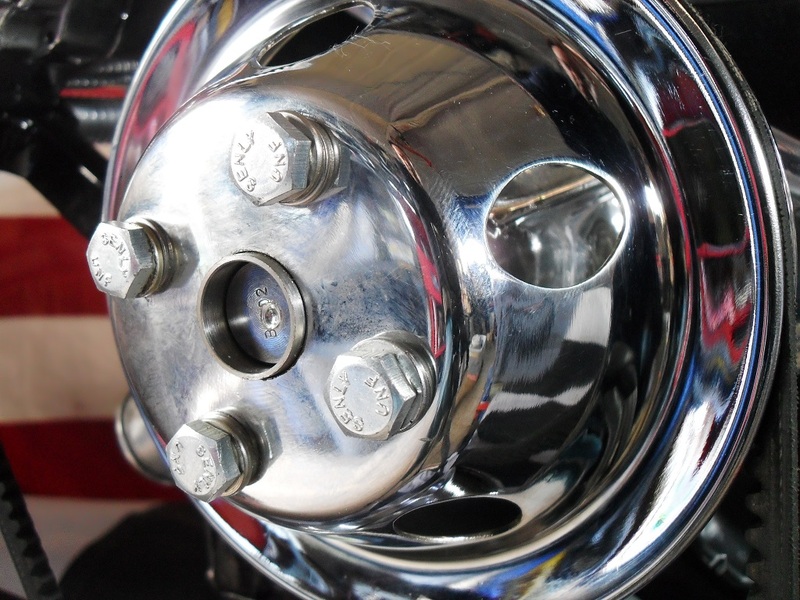 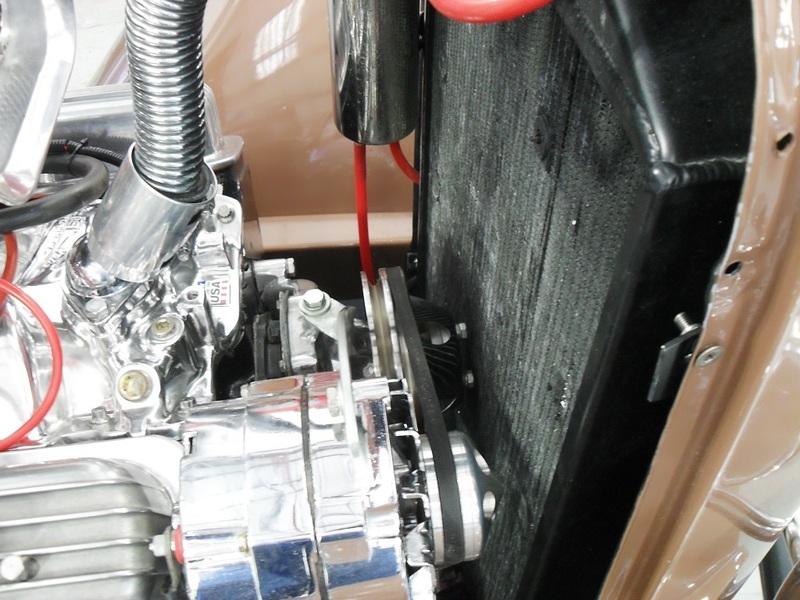 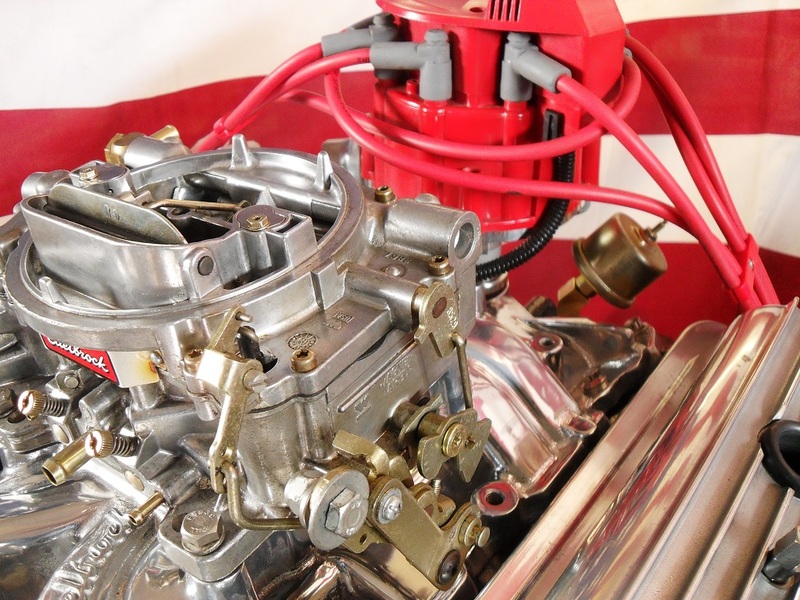 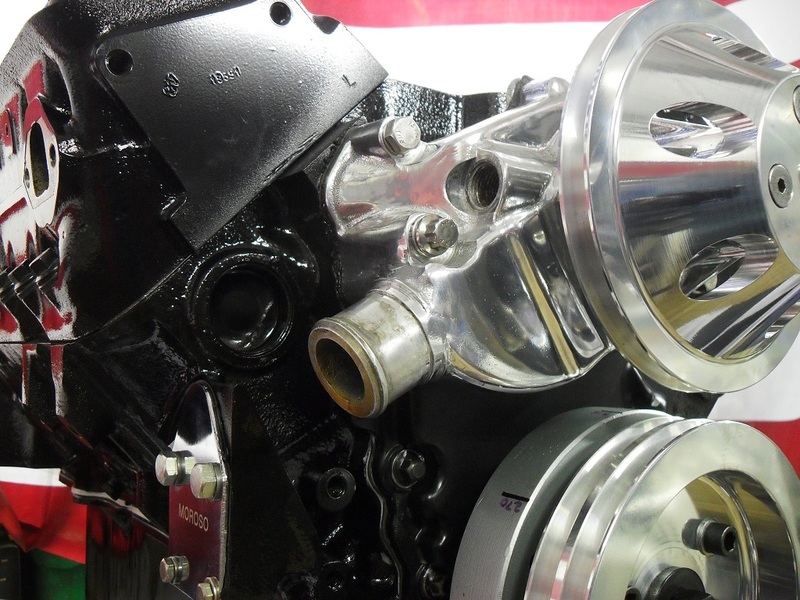 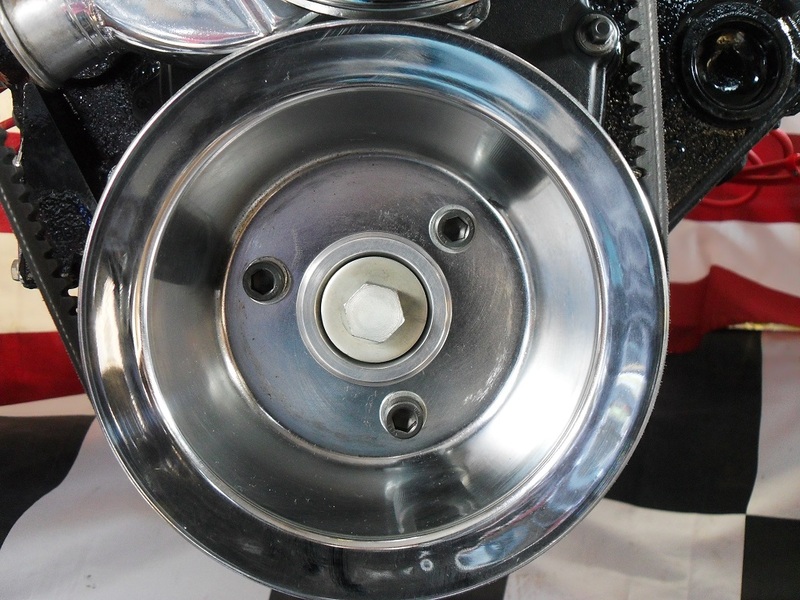 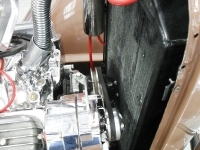 The ZZ4 ‘raised ‘D’ port aluminium cylinder heads were welded where necessary and then refaced, valves and seats were recut and lapped and one new guide was fitted. 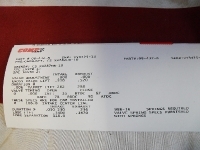 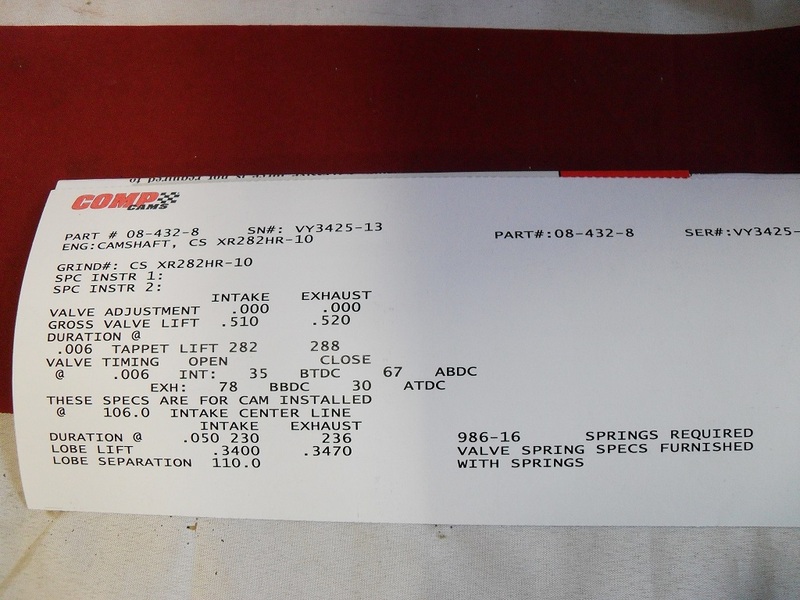 New Comp Cams valve springs were fitted after being tested for open and closed seat pressure and checking installed height. 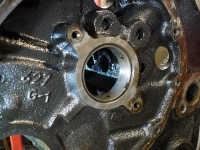 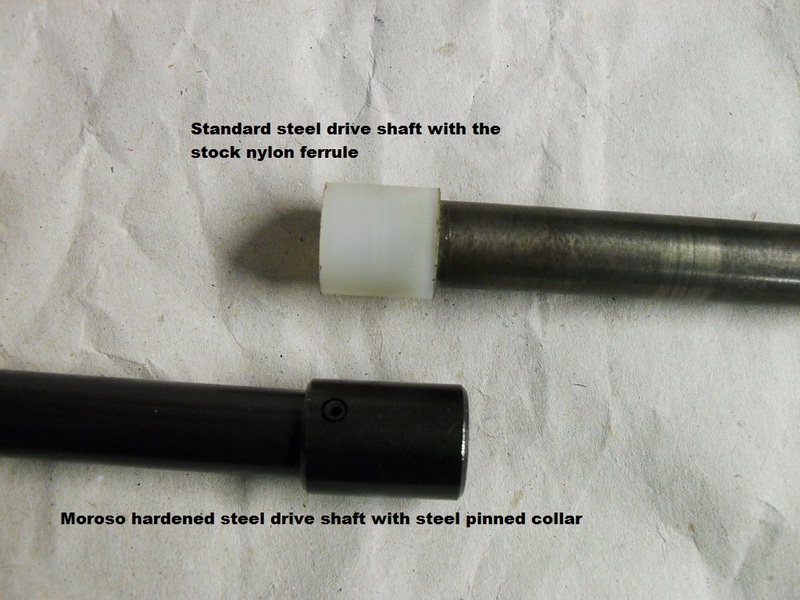 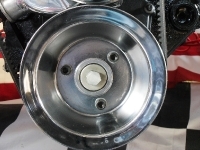 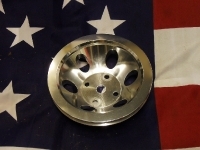 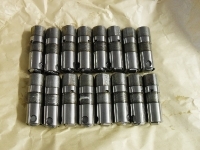 Positive stop Teflon valve stem seals were used when assembled. 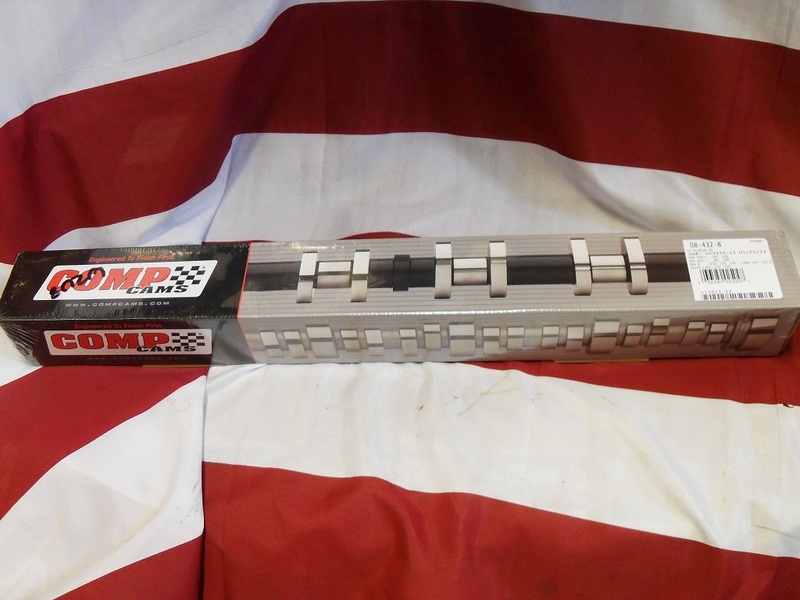 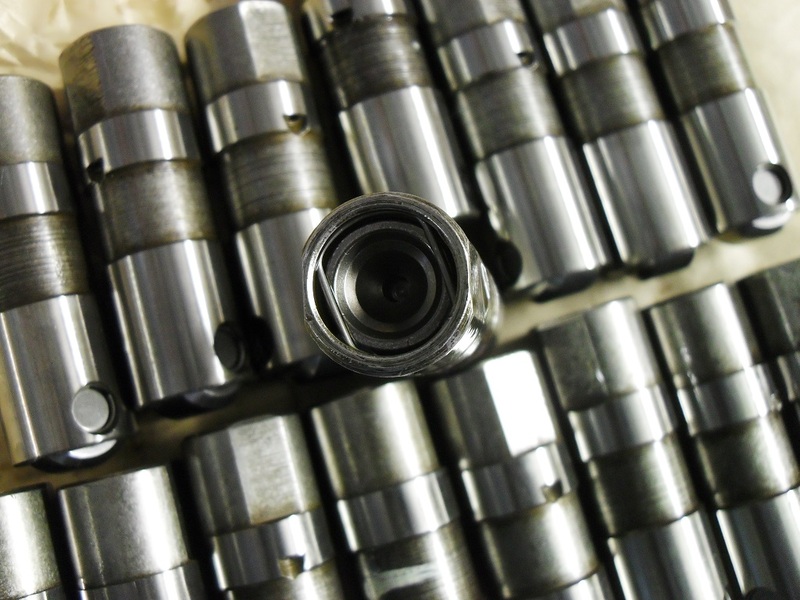 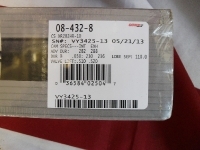 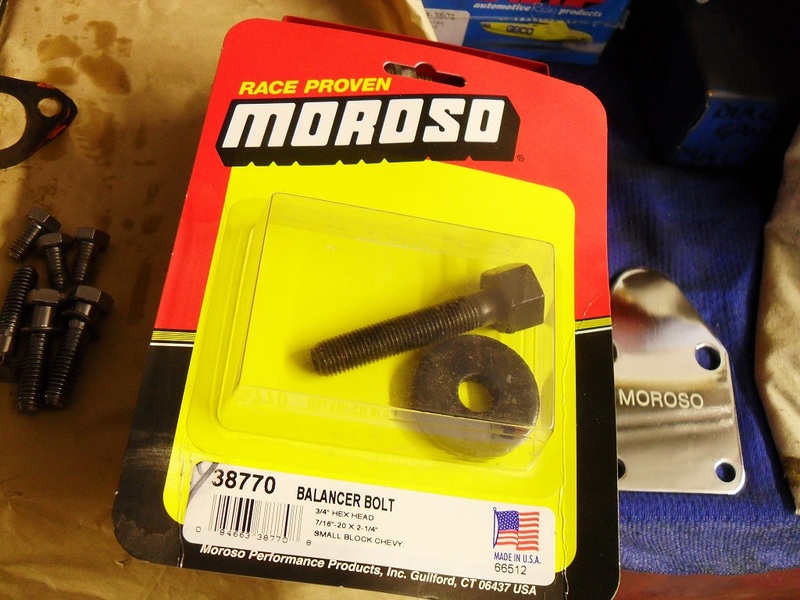 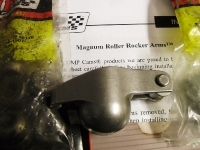 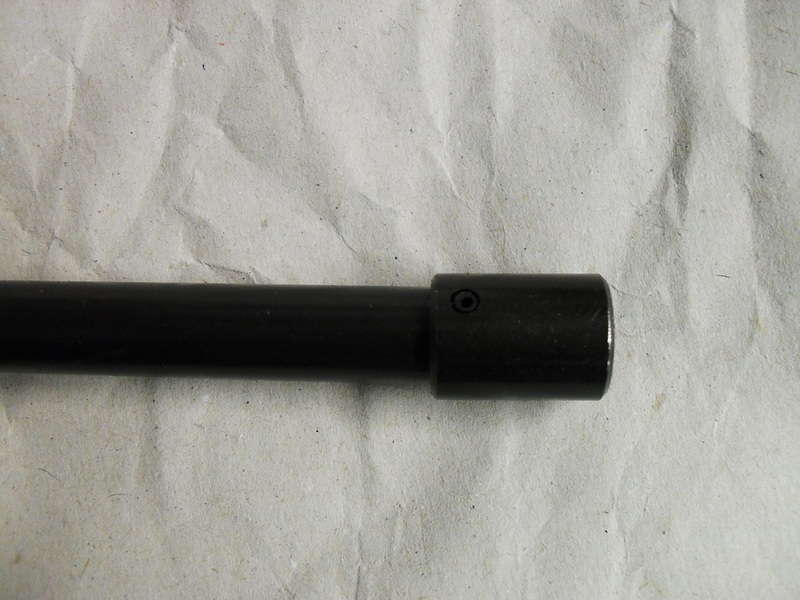 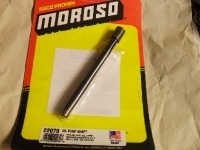 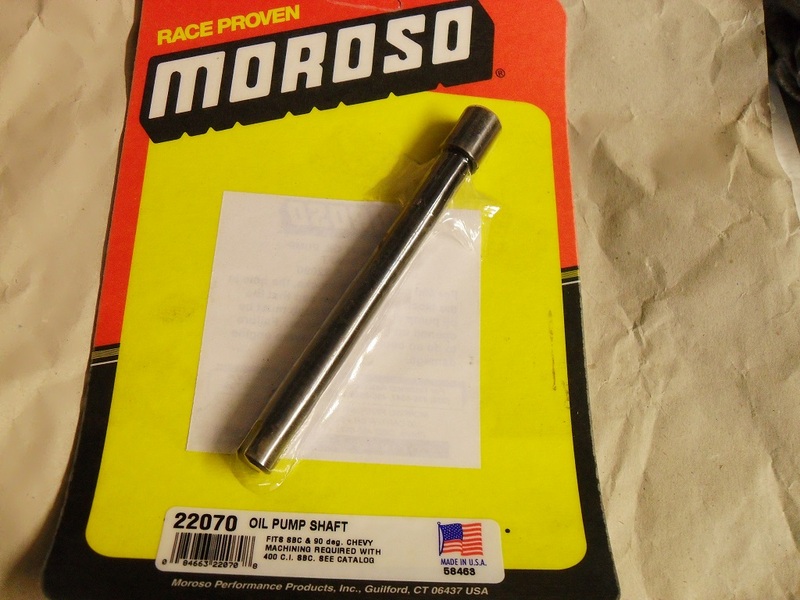 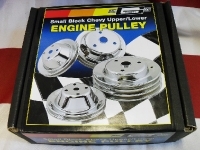 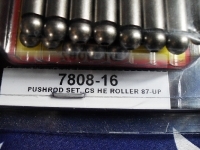 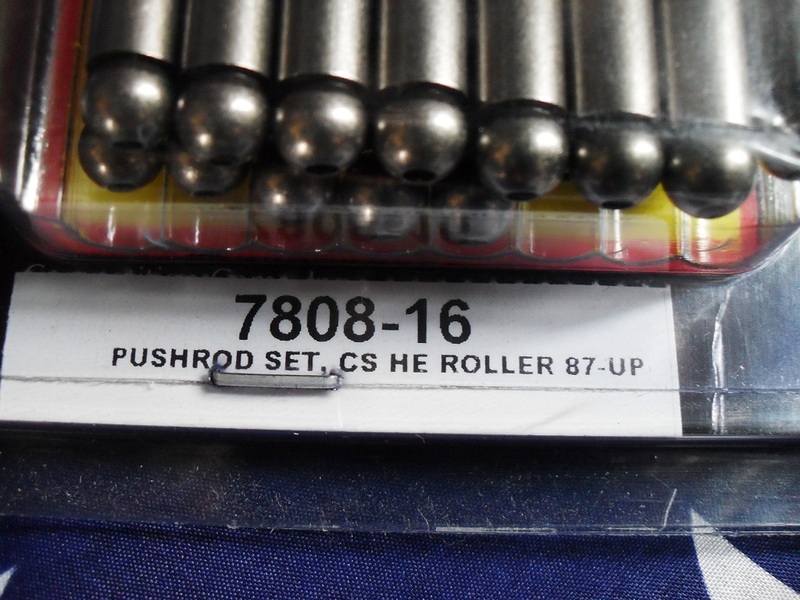 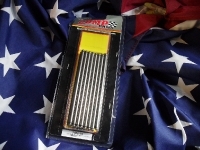 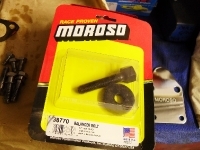 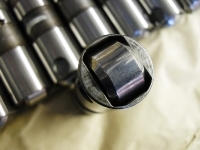 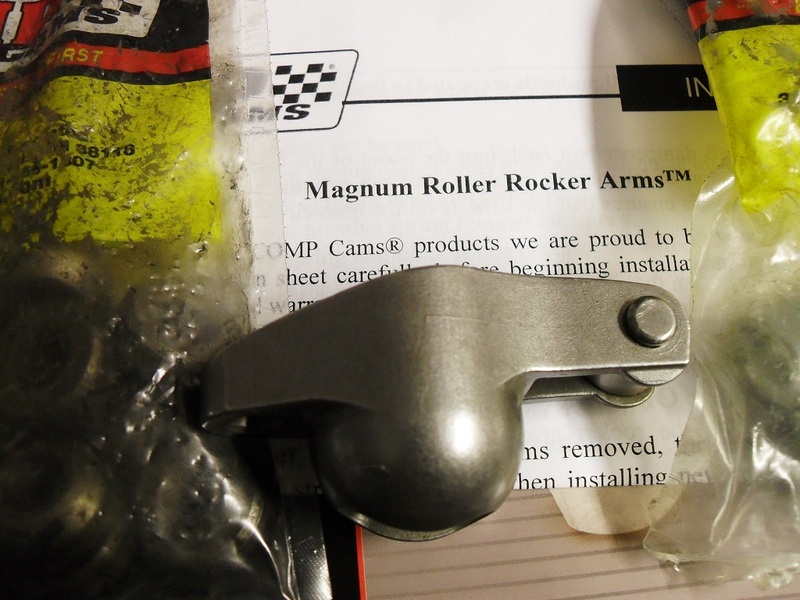 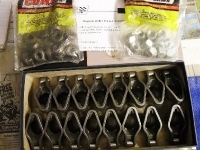 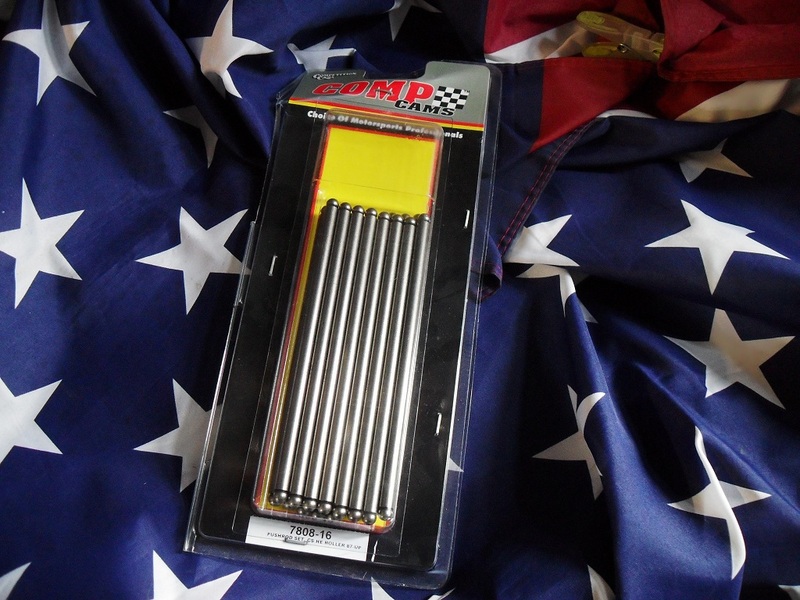 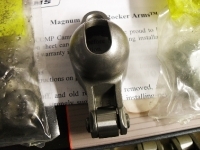 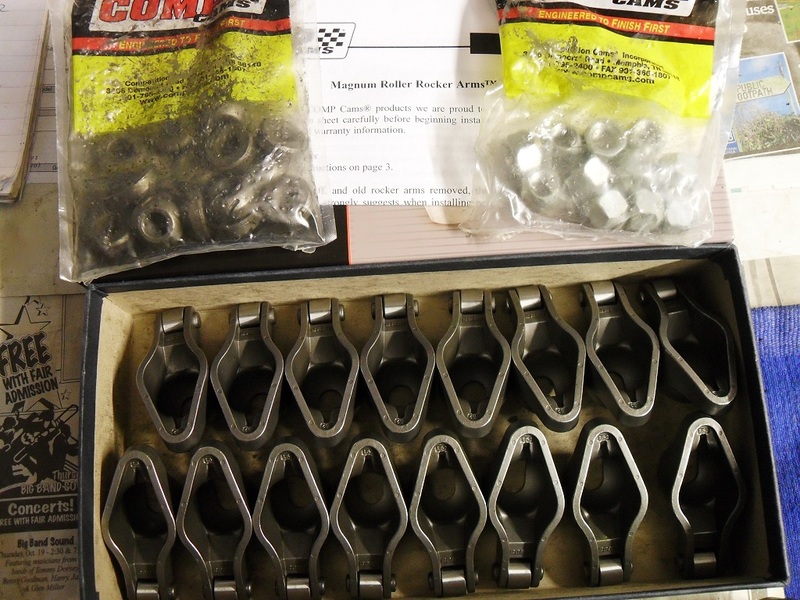 We also used Comp Cams roller tip rockers and their hardened Magnum push rods. 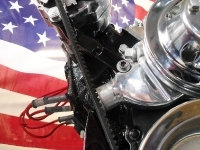 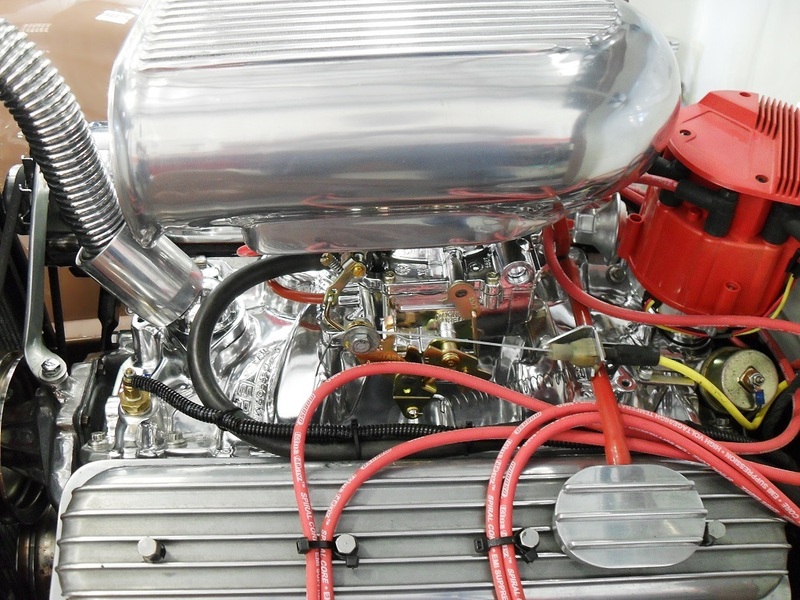 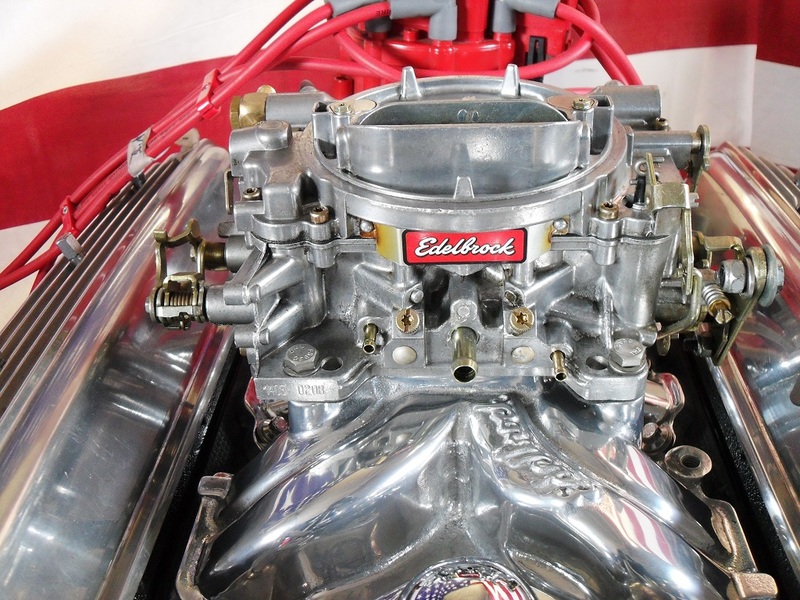 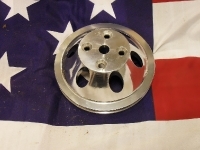 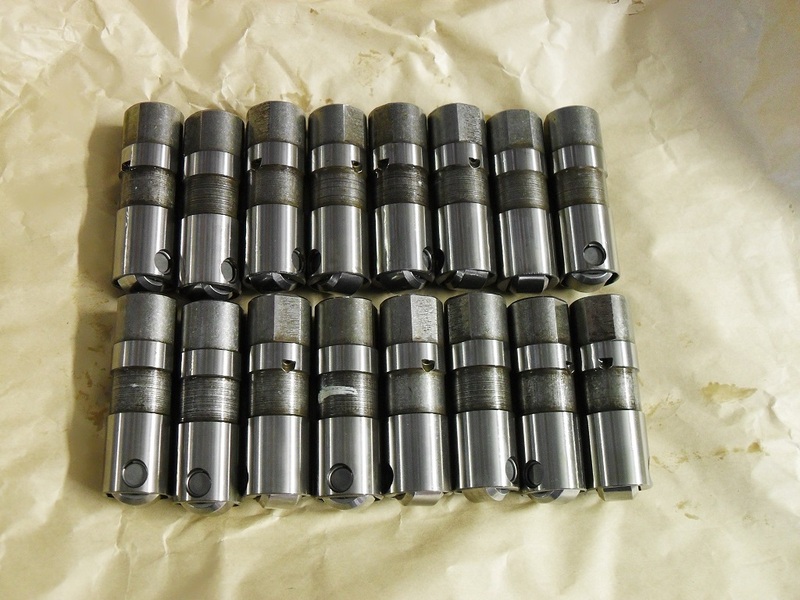 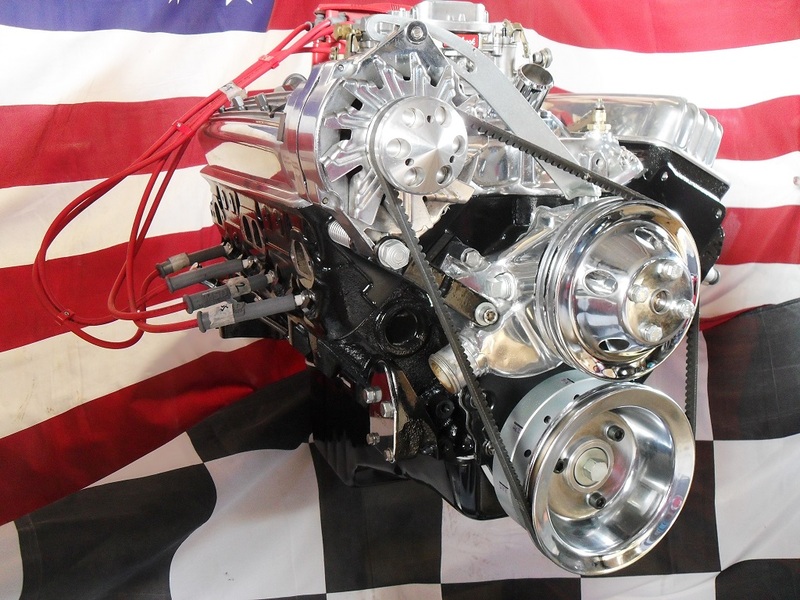 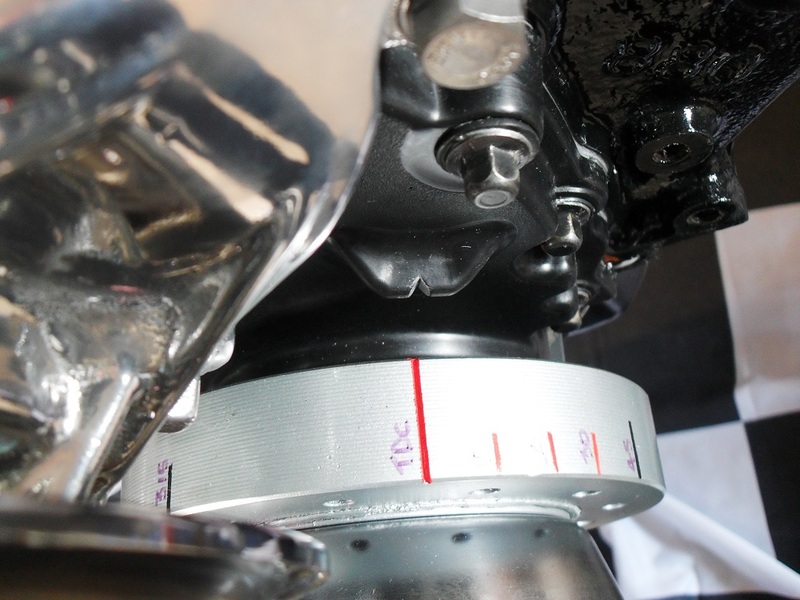 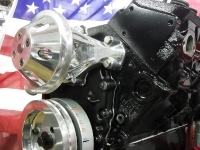 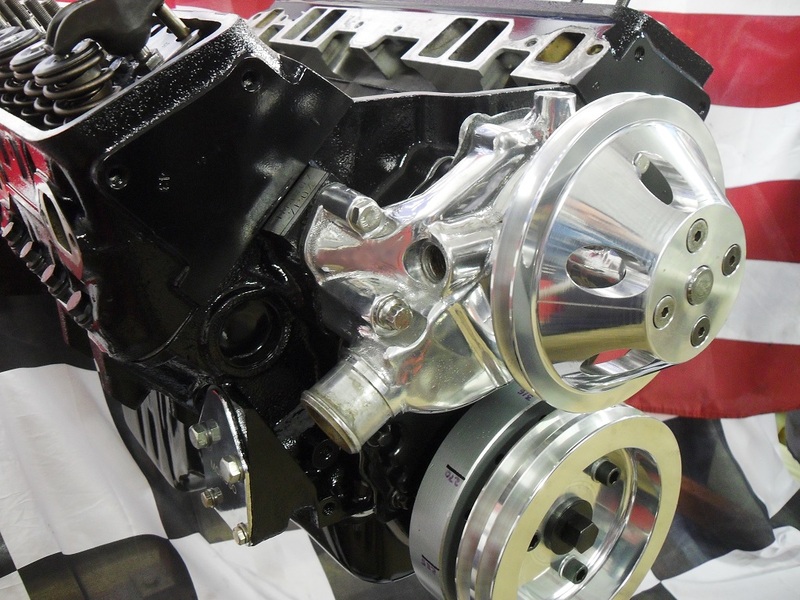 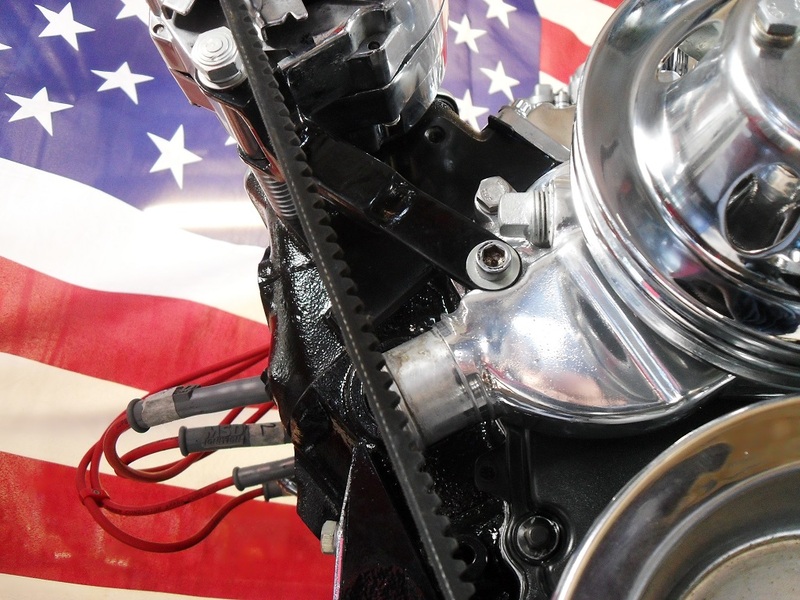 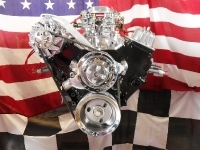 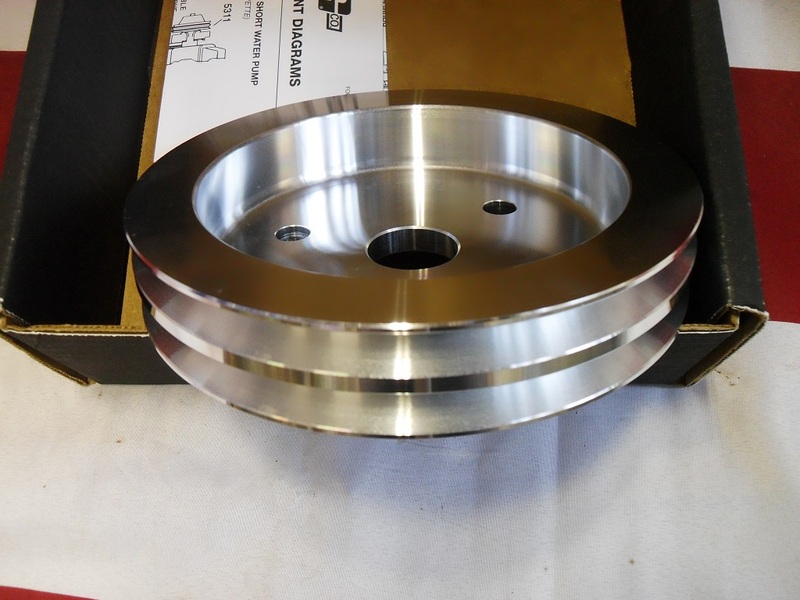 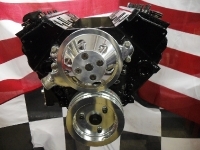 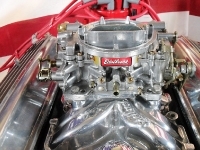 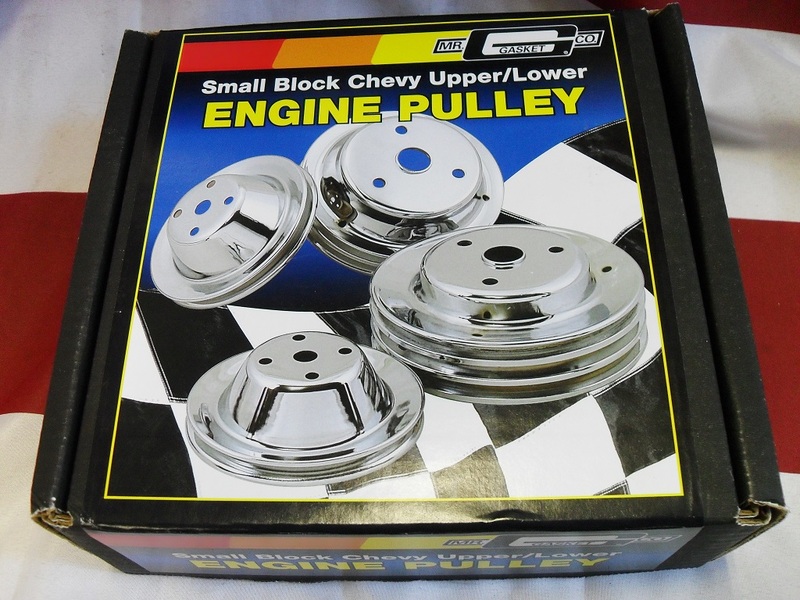 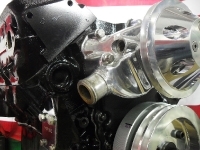 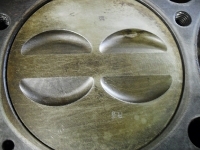 New Keith Black hypereutectic pistons were used with Speed Pro rings. 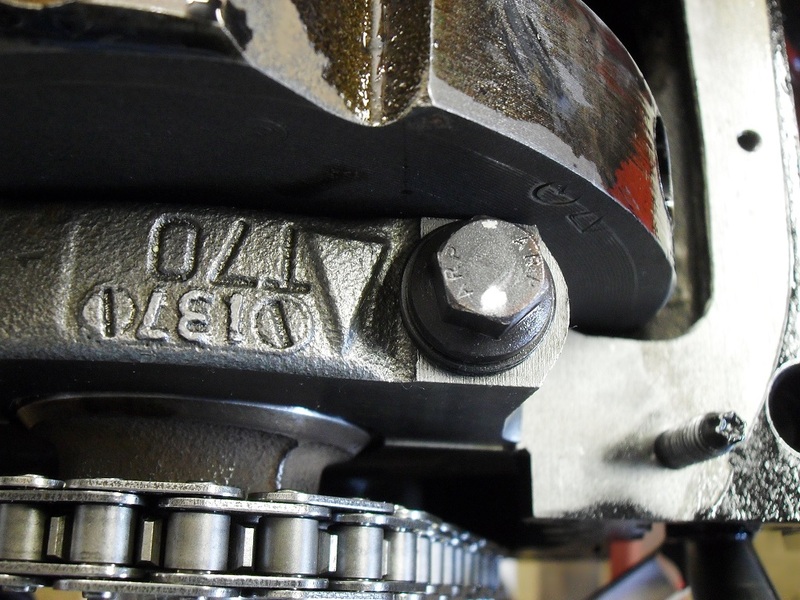 The new timing set is a Cloyes item, single roller chain as there isn’t room for a double roller chain behind the plastic timing cover. 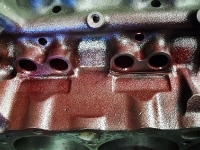 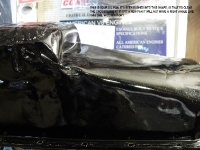 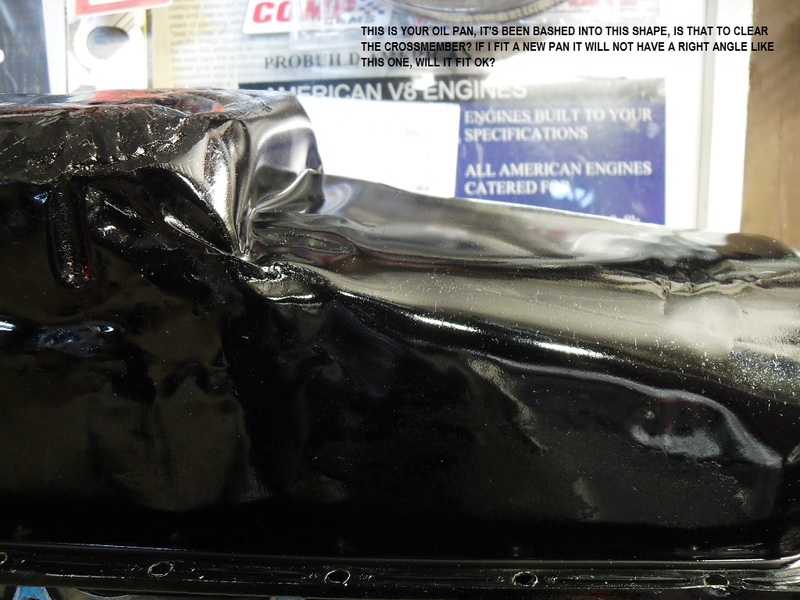 Heads were sprayed black and the rest was made a shiny as possible as per the owners instructions. 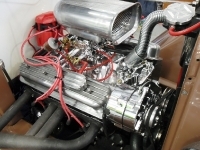 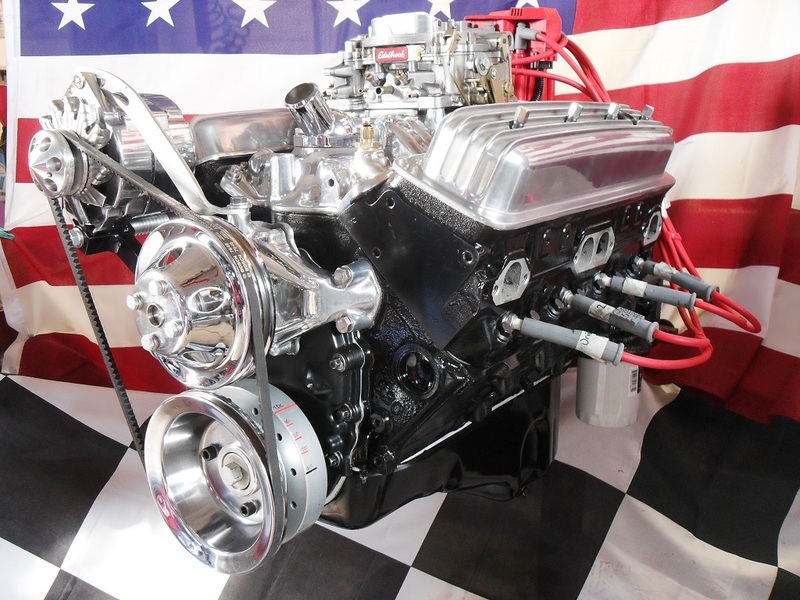 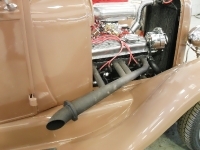 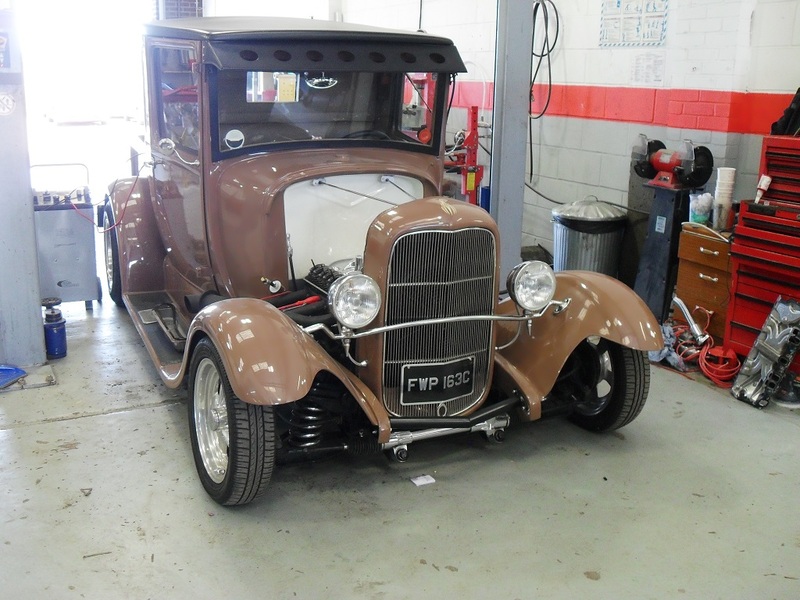 The finished article, 1929 Model A pick up with a rebuilt 350 ZZ4 4 bolt mains, roller cam V8 small block Chevrolet pushing out 385 horse power backed by a Turbo400 transmission. 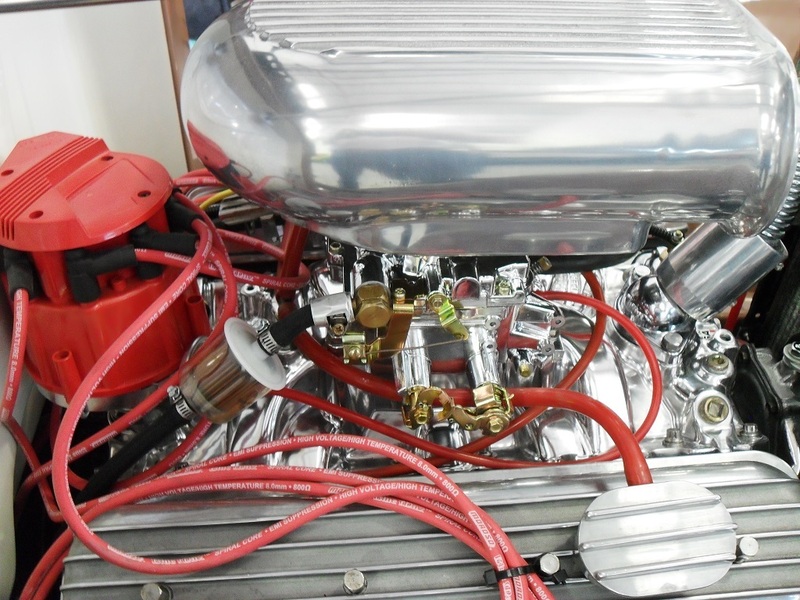 With the body weighing the same as a go kart this thing flies….